Illustration showing several upper stages. 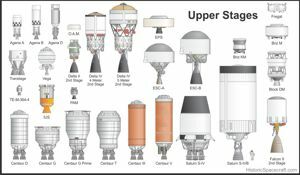 Upper stages propel payloads on interplanetary trajectories, or into orbits higher than could otherwise be reached using a rocket booster. 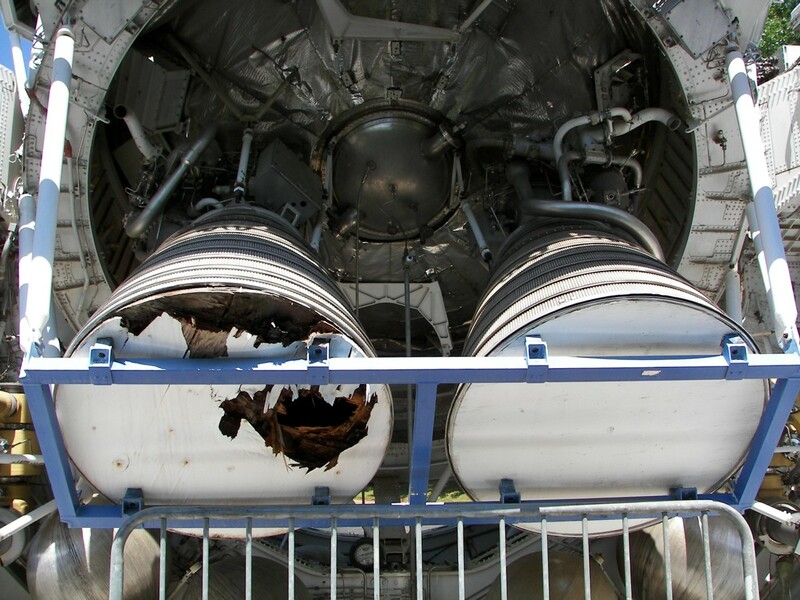 Often, upper stage engines can be restarted several times while in space. 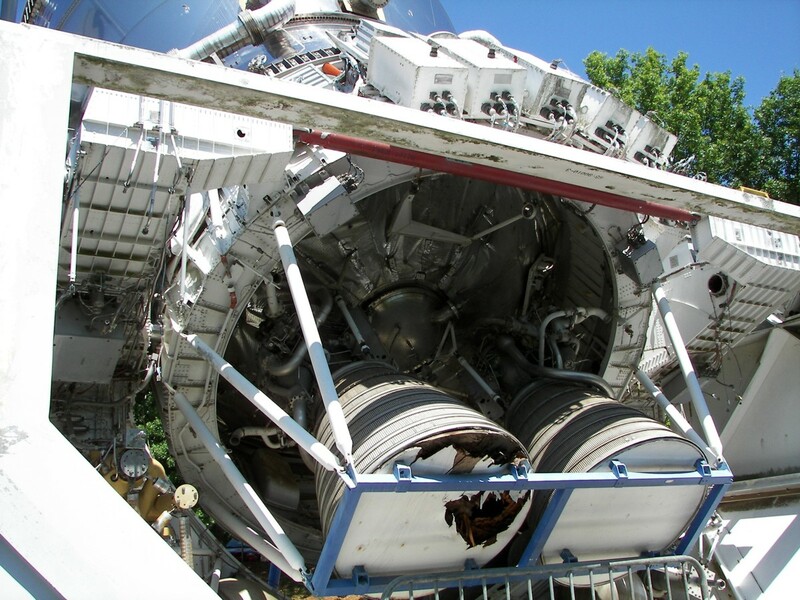 Several upper stages have seen service on more than one booster. 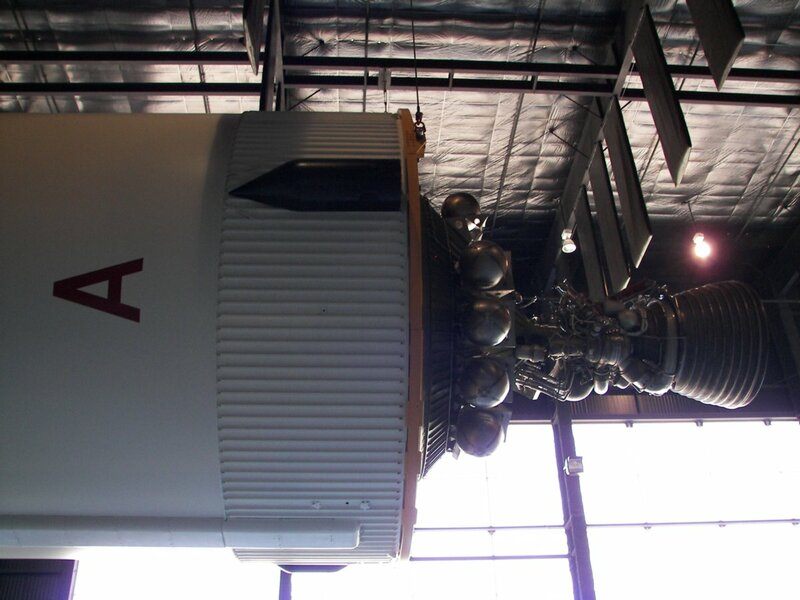 For instance, Agena was used on various Thor, Atlas and Titan rockets. Centaur and IUS also served on multiple families of launchers. 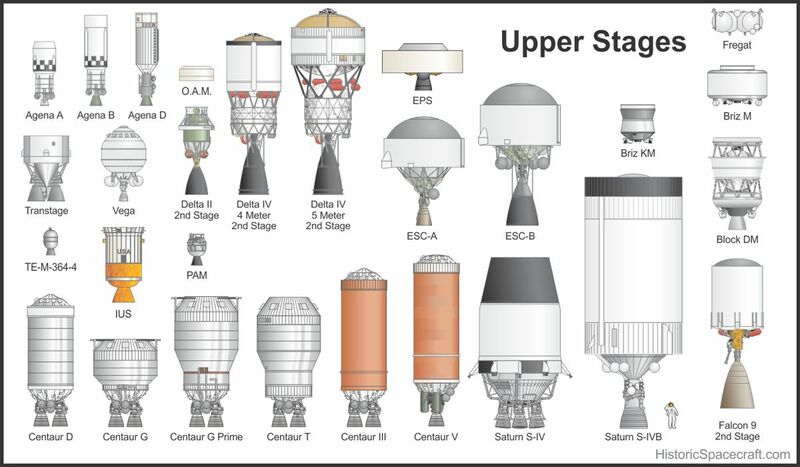 Although periodically upgraded, upper stage families tend to remain in service for long periods of time. The Agena stage, first flown in 1959, would fly over 360 missions before being retired in 1987. 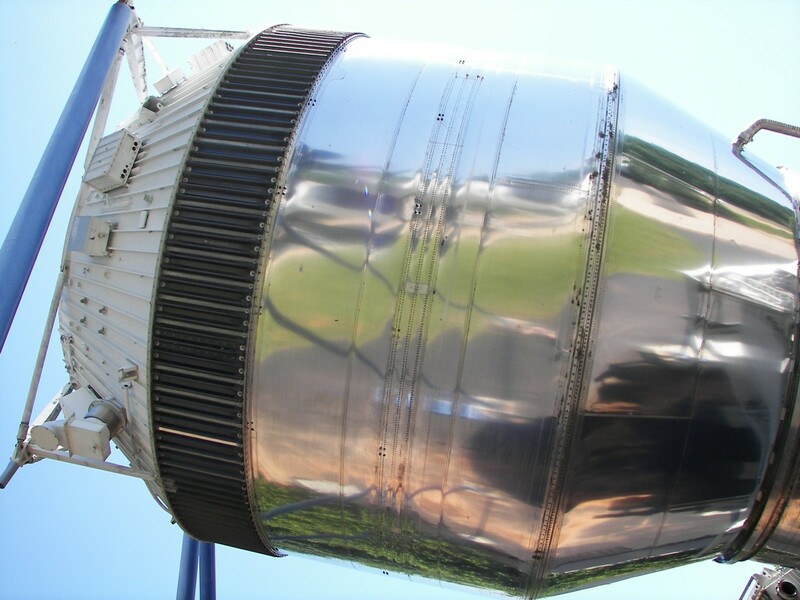 Centaur, 50 years after its first flight in 1963, still sees frequent use on Atlas 5 boosters. Agenas launched hundreds of payloads, including a large number of intelligence gathering spacecraft and several Lunar and Planetary exploration missions. 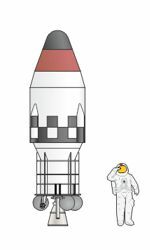 Early launches used Thor rockets as first stages, while later missions would fly on Atlas and Titan rockets. 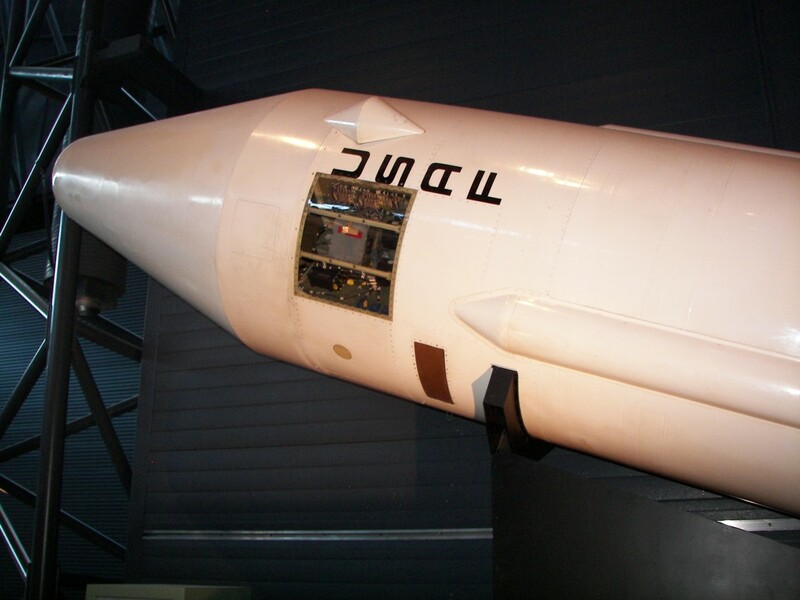 Agena A was used on Thor and Atlas rockets. Payloads included Corona and Midas intelligence satellites. 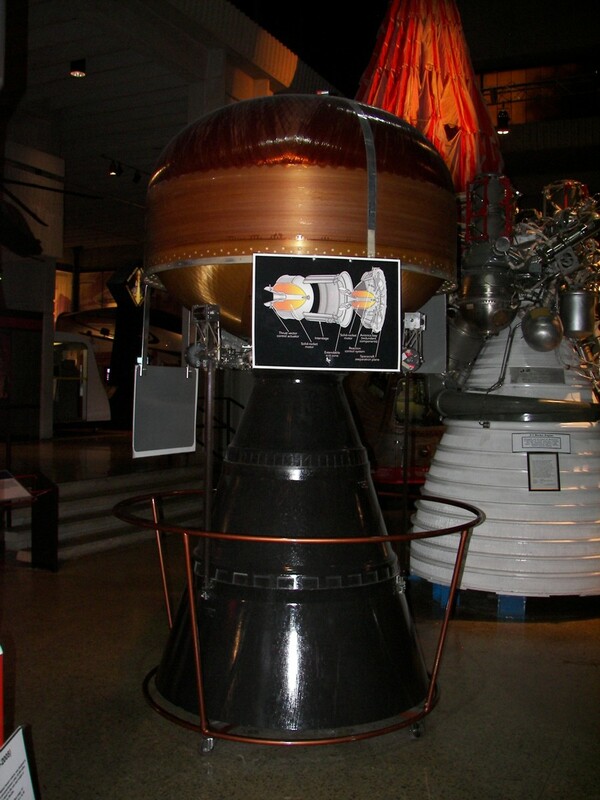 Classified missions were often publicly referred to as Discoverer spacecraft. The stage was powered by a Bell 8048 engine. 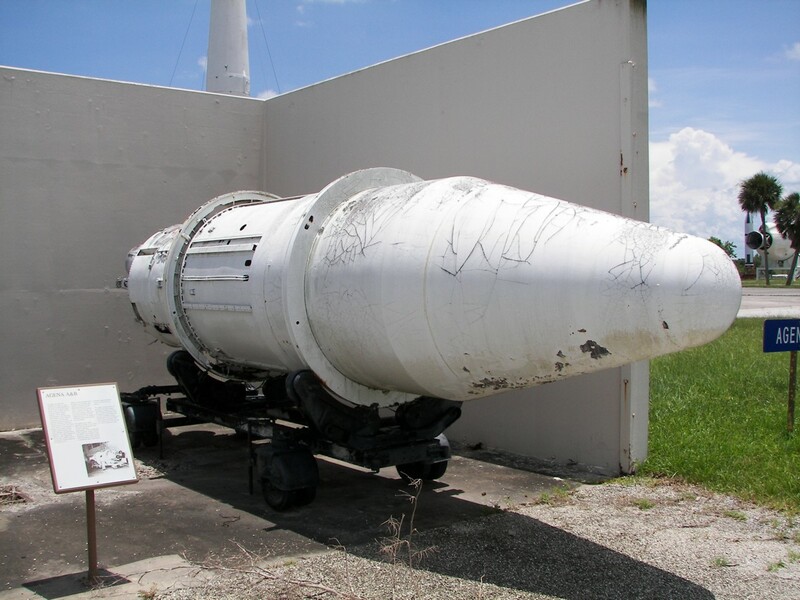 Agena B was used on Thor and Atlas rockets. 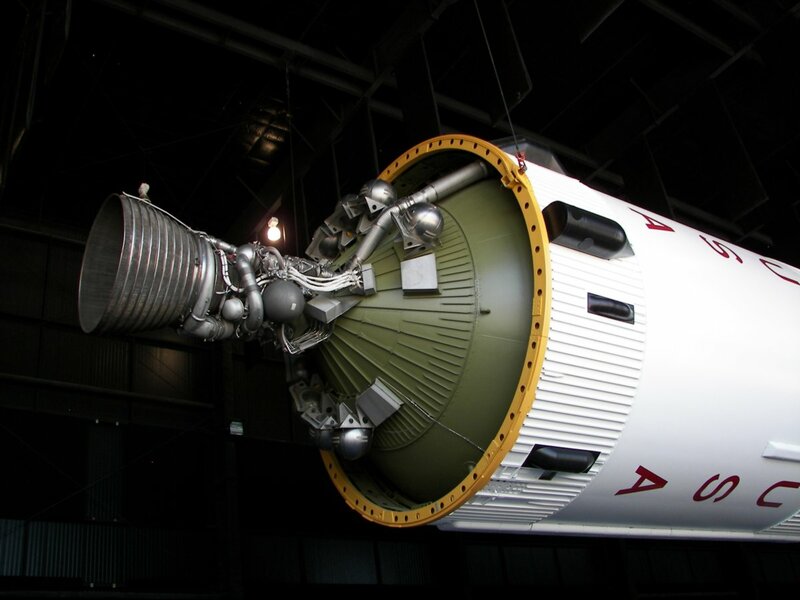 Upgrades from the 'A' model included larger propellent tanks and the ability to restart the main engine several time while in orbit. The stage was powered by a Bell 8081 engine. Agena B payloads included a large number of intelligence payloads. Atlas-Agenas launched the Ranger series of Lunar probes, as well as the Mainer 1 and 2 Venus probes. Used on Thor, Atlas and Titan rockets. Most Agena-D stages used a Bell 8096 engine. Atlas-Agenas launched the Mainer 3 and 4 Mars probes, as well as the Lunar Orbiter series of spacecraft. Several Agena-D stages were modified for use as docking targets for the Gemini program. 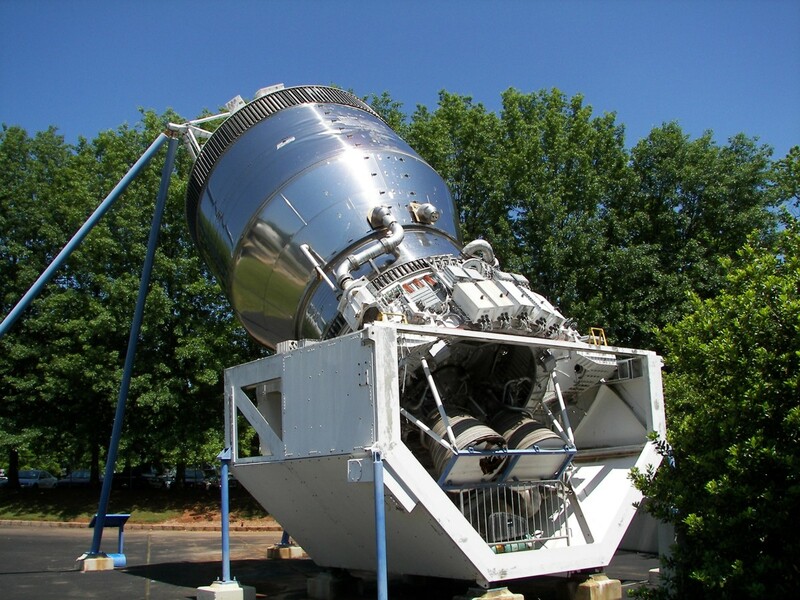 Gemini Agena vehicles used the Bell Aerospace model 8247 engine. Several Agena-D stages were modified for use as docking targets for the Gemini program. 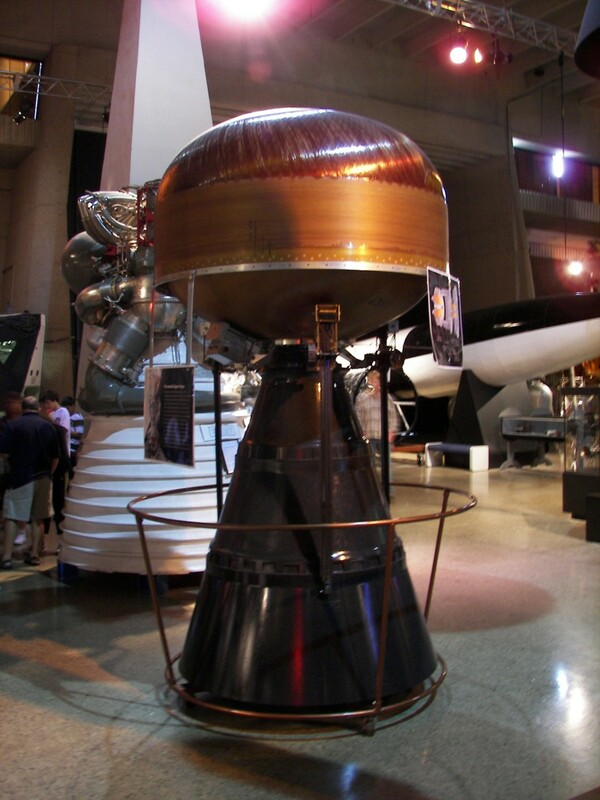 The Gemini Agena Target Vehicle (GATV), based on a highly modified Agena-D upper stage, was developed as the primary docking target for Gemini spacecraft. Additions to the standard Agena included extra communications equipment, a radar transponder, acquisition lights, and a docking cone. 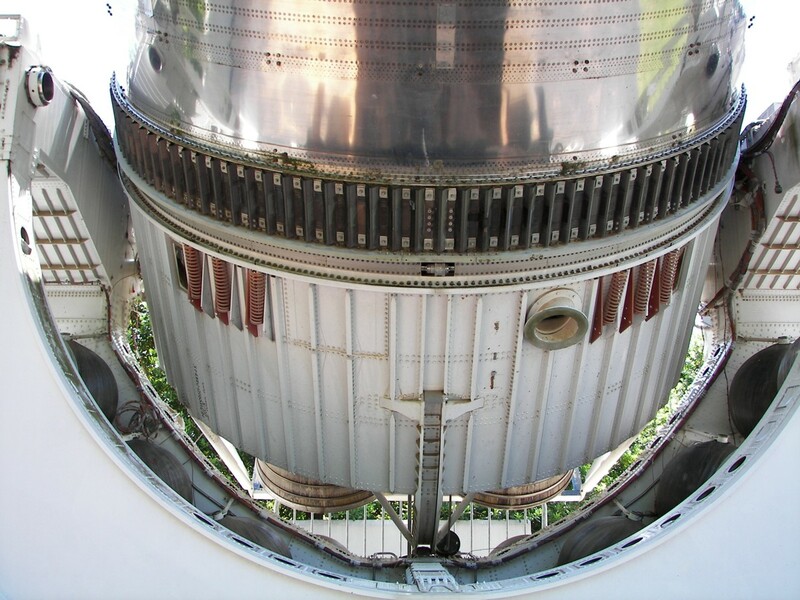 The docking cone was designed to receive the nose of a Gemini capsule. 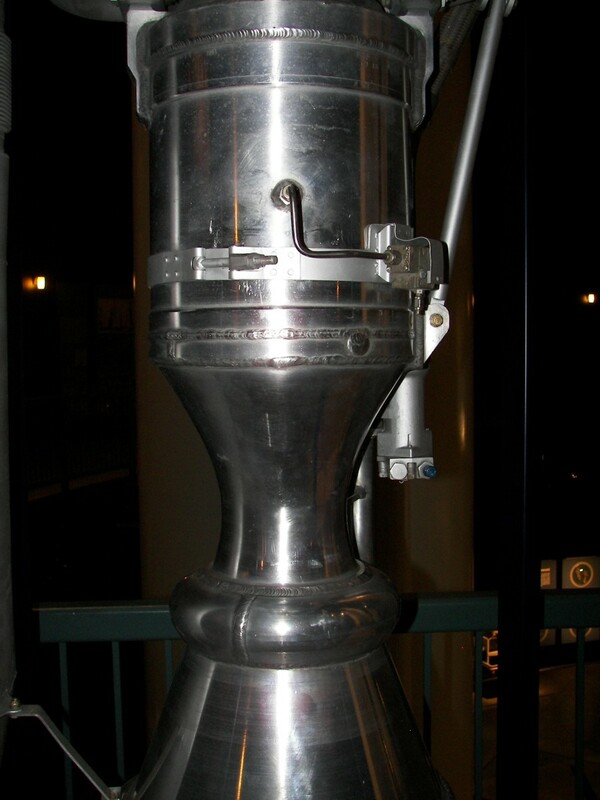 An indexing bar, protruding from the top of the Gemini spacecrafts nose, slid into a matching v-notch on the docking cone, assuring proper radial alignment between the docked spacecraft. Equipment within the docking cone allowed the spacecraft to be securely attached. While docked, equipment in the Gemini capsule allowed astronauts to control the Agena spacecraft. The Gemini-Agena combination could use the Agena engine to make significant orbital maneuvers. 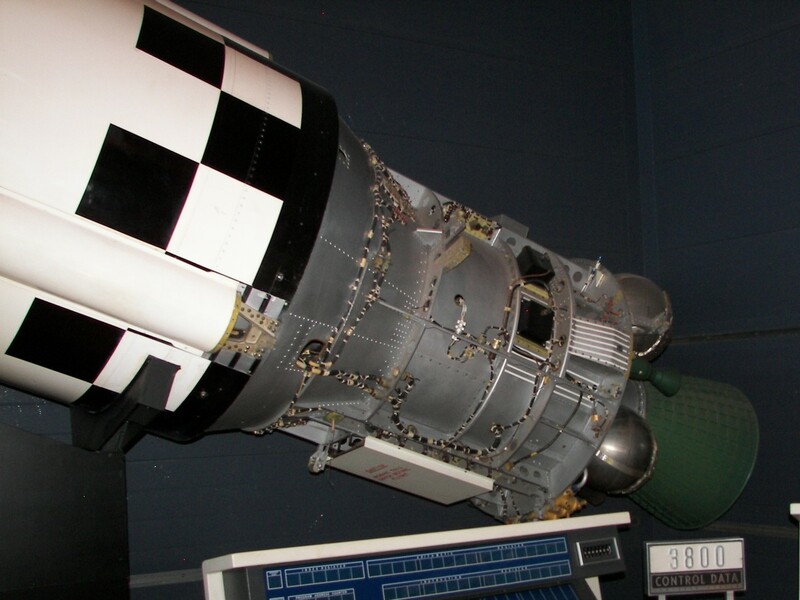 Development of the Centaur high-energy upper stage began in the late 1950's, with the first successful flight occurring in 1963. 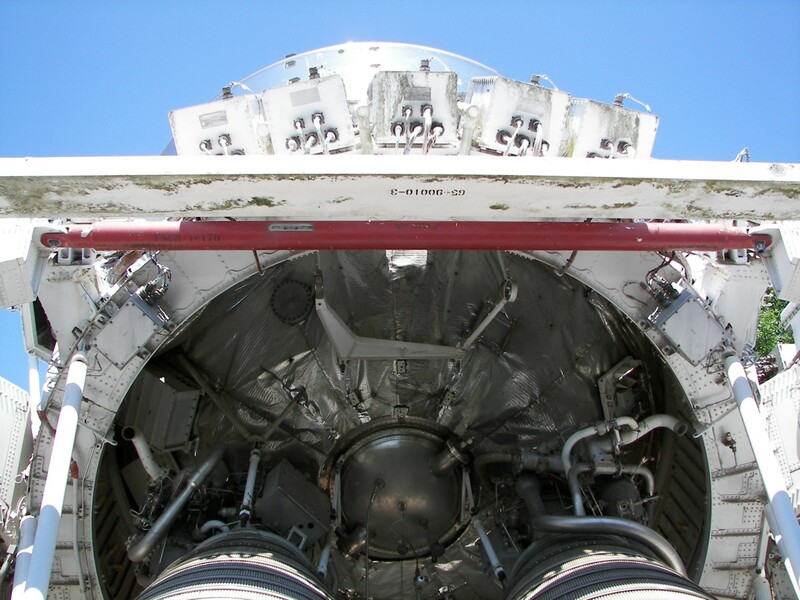 The stage, fueled with liquid oxygen and liquid hydrogen, was powered by two Pratt & Whitney RL-10 engines. 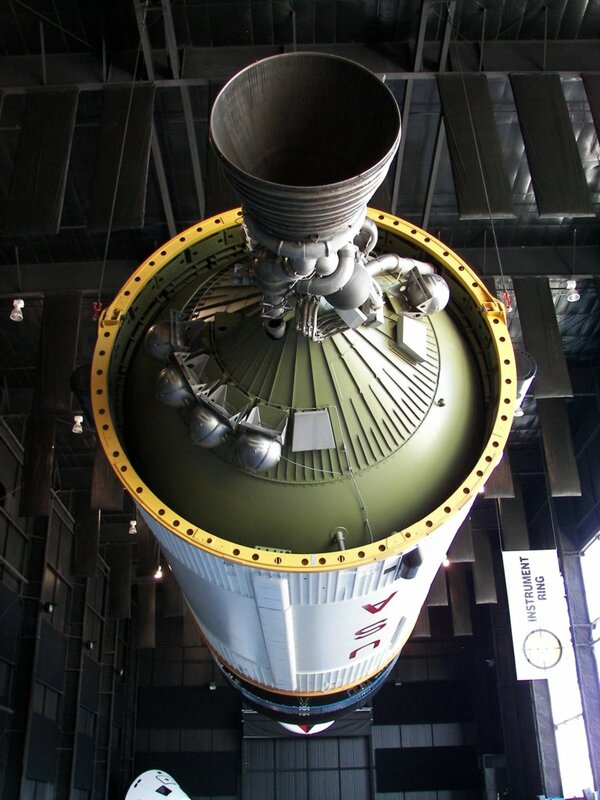 Most often used with an Atlas first stage, several versions of Centaur would fly on Titan rockets. 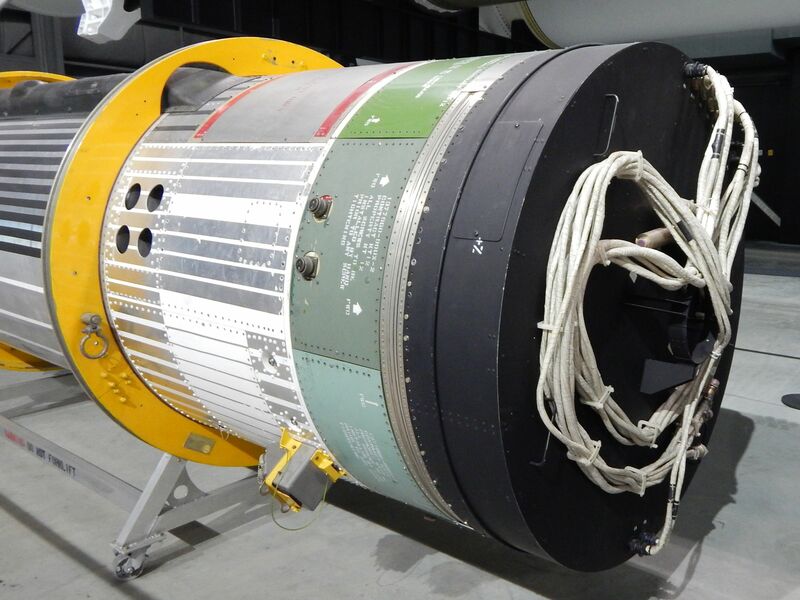 Centaur-G, developed for use on the space shuttle, was canceled prior to its first flight. 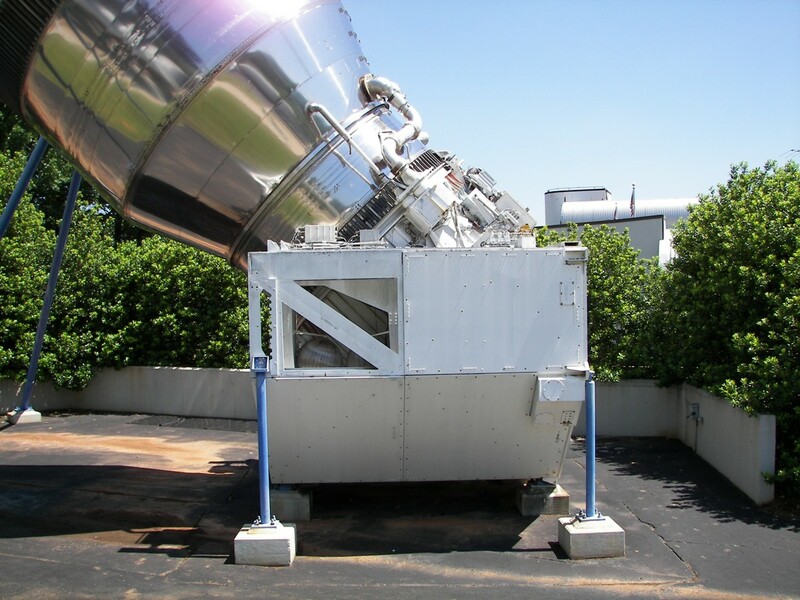 The highly reliable Centaur has been used extensively for deep space probes and for geostationary satellites. Periodic upgrades have allowed the Centaur to fly over 200 missions during five decades of service. 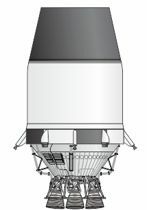 With updated Centaurs still being used on Atlas V rockets, the upper stage is likely to see many more years of service. 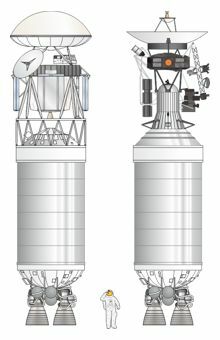 Launched on Atlas rockets, Centaur D-1 stages Launched the Surveyor Lunar landers, Mariners 6, 7, 8,and 9, several Orbiting Astronomical Observatory (OAO) missions, as well as a number of communications and test satellites. The Centaur D was flown 24 times between 1965 and 1972. Launched on Atlas rockets, Centaur D-1A stages Launched the Pioneer 11 spacecraft toward Jupiter and Saturn. A D-1A was also used to send Mariner 10 on its way to encounters with Venus and Mercury. The Centaur D-1A was flown 6 times between 1973 and 1975. 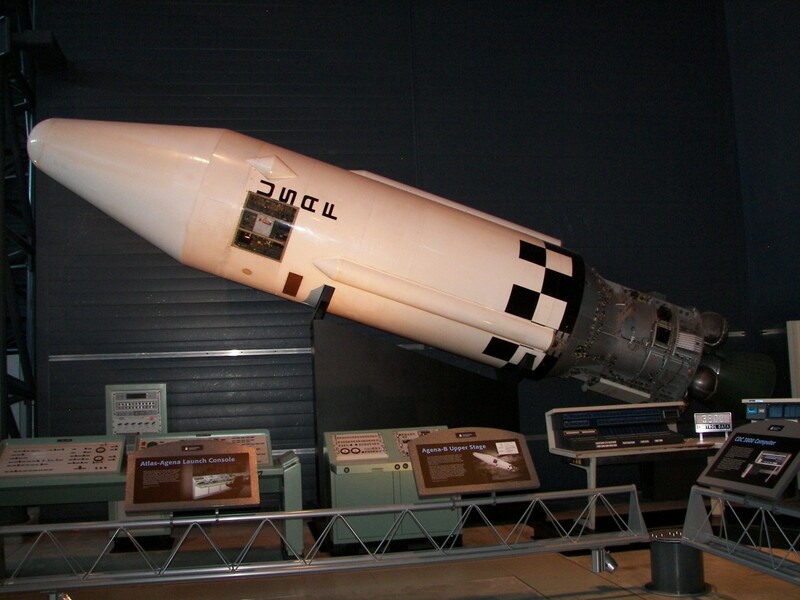 The Centaur D-1T stage was modified for use exclusively with the Titan-3E rocket. The Centaur D-1T was flown seven times between 1974 and 1977. 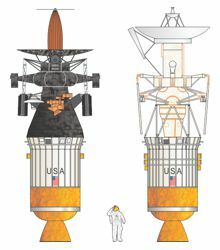 Historic payloads included two Viking spacecraft to Mars in 1975, and two Voyager outer planet probes in 1977. 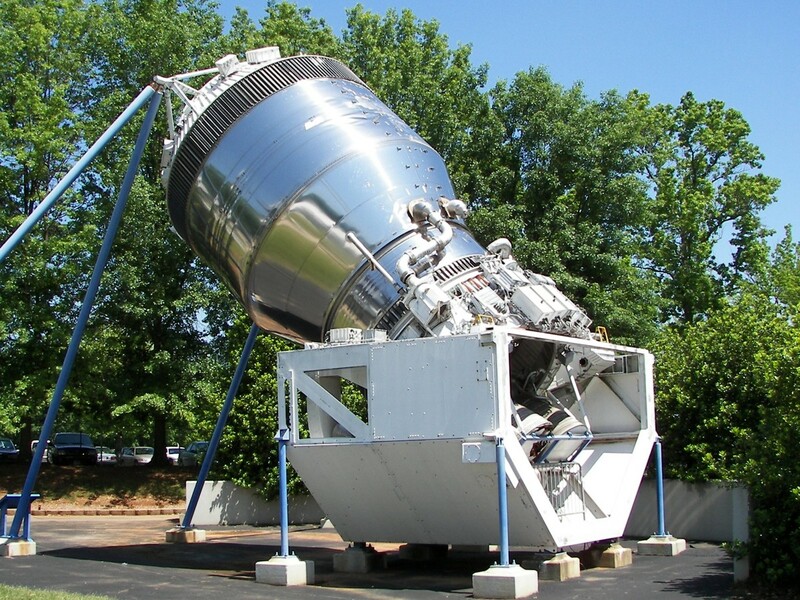 The Centaur D1-AR stage was used with Atlas SLV-3D and Atlas G rockets. Over 30 missions were flown between 1975 and 1989, including launching of the Pioneer Venus orbiter and multi-probe in 1978. 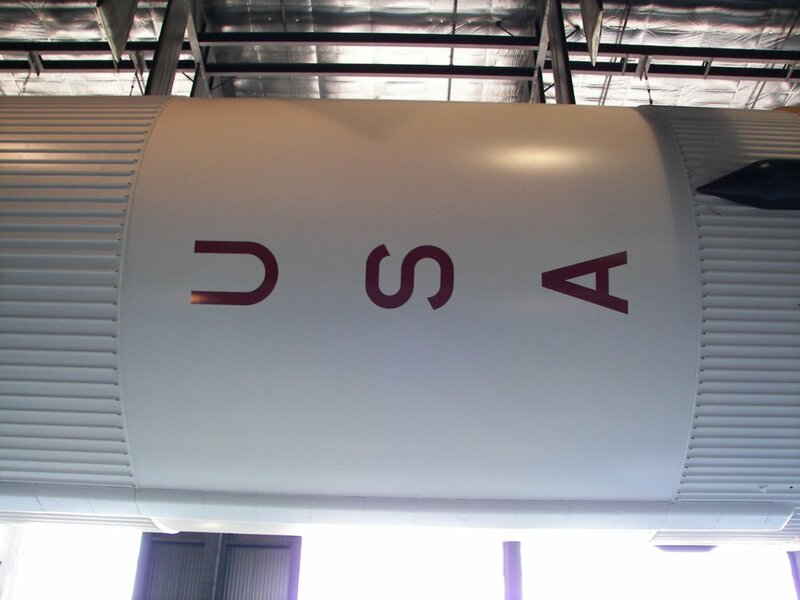 The Centaur G stage was designed for use with the American Space Shuttle. The Centaur G program was canceled after the Challenger disaster in 1986. Centaur G-Prime was a more powerful version of the G model. The Centaur G-Prime was canceled after the Challenger disaster in 1986. The Centaur T was used on both the Titan IVA and Titan IVB rockets and flew 16 missions between 1994 and 2003. The stage was typically used with large defense department payloads. In 1997, A Titan-IVB with a Centaur T upper stage launched the Cassini / Huygens spacecraft to Saturn. 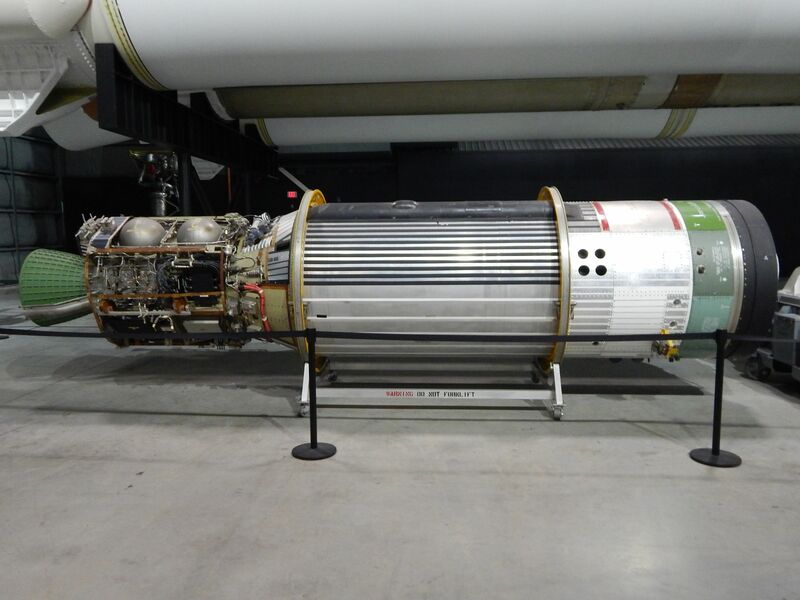 Over 60 Centaur stages flew on Atlas II rockets between 1991 and 2004. 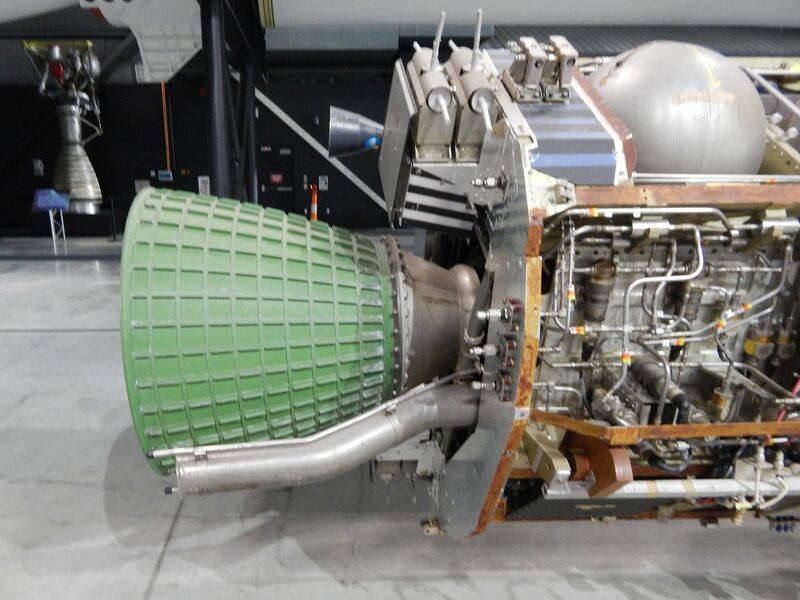 The Atlas V Centaur, sometimes known as the Common Centaur, is available in two versions, the Single Engine Centaur (SEC), and the Dual Engine Centaur (DEC). Power is provided by one or two RL-10A-4-2 engines. 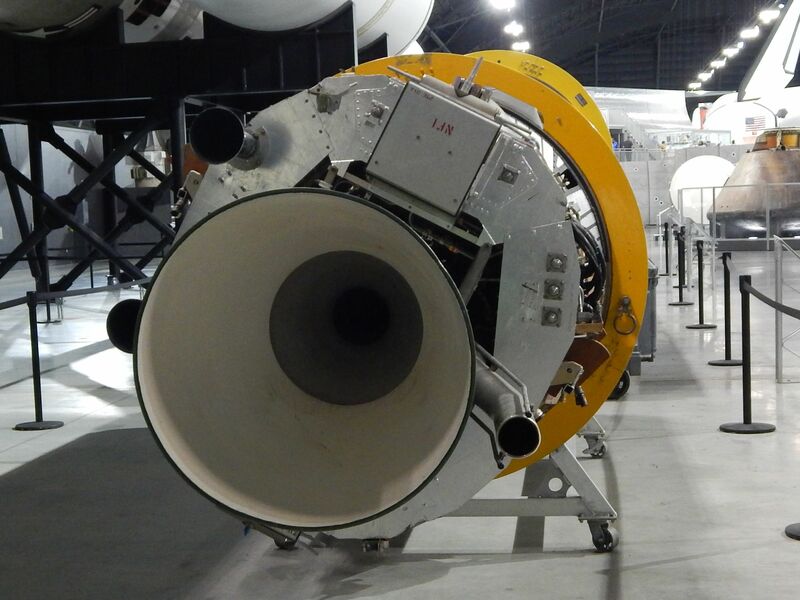 Build by Pratt & Whitney, the RL-10A-4-2 features an extendable nozzle to improve performance. 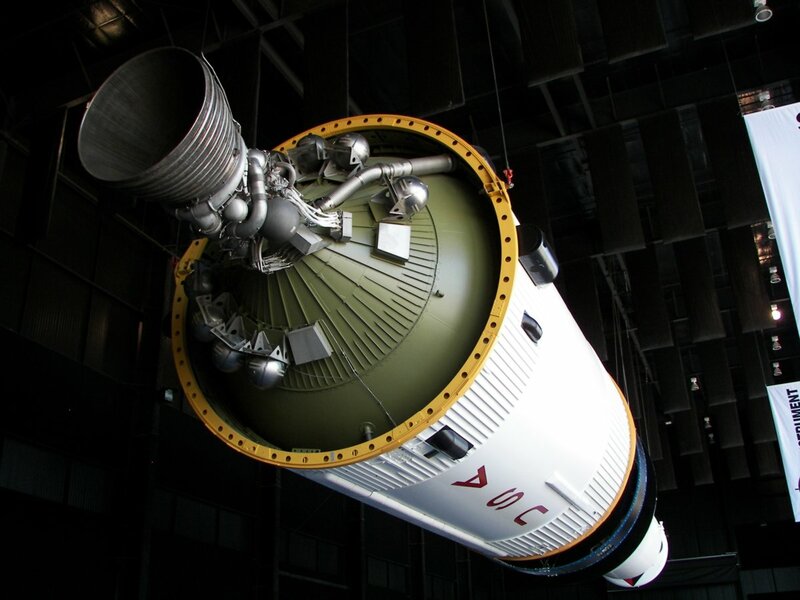 The engine is restartable and uses liquid oxygen and liquid hydrogen as propellants. 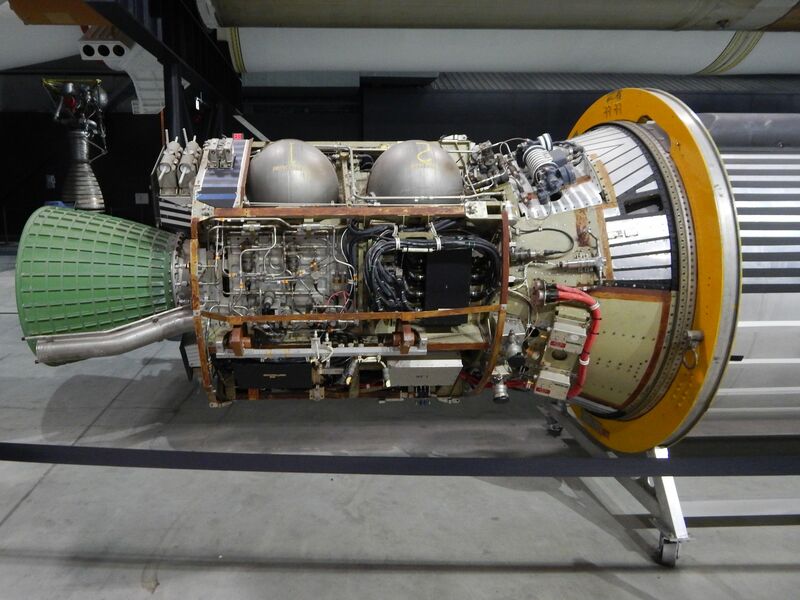 Each engine produces 99.2 kN of thrust. Total propellant load for an Atlas V Centaur is 20,830kg. The main engine is gimbaled to provide attitude control during powered flight. A Reaction Control System (RCS) handles attitude control during un-powered flight and roll control during powered flight. The RCS is hydrazine based. The diameter of the stage is 3.05m. The length, with engine nozzles extended, is 12.68m. Payloads have included several interplanetary missions, including the Mars Reconnaissance Orbiter, the New Horizons Pluto probe, the Lunar Reconnaissance Orbiter, The Juno Jupiter orbiter, and the Mars Science Lander spacecraft. 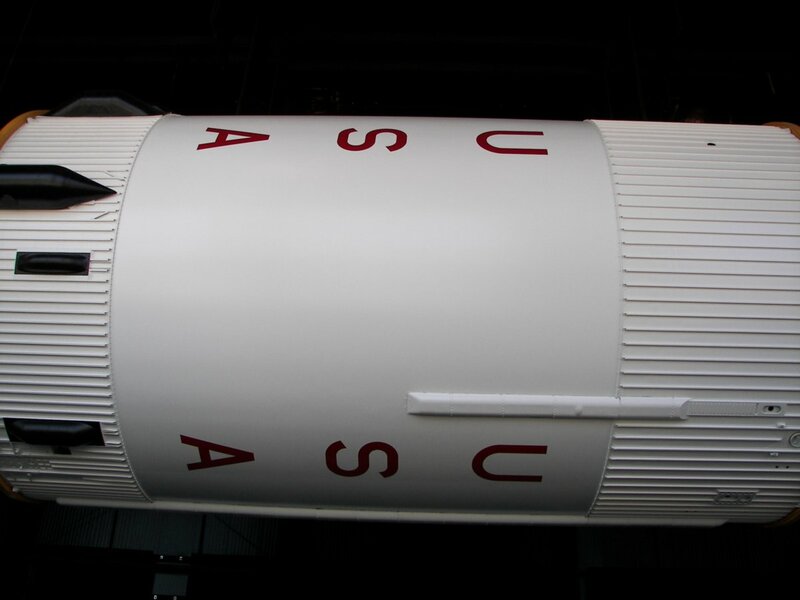 Pegasus was a series of three large meteorite detecting satellites flown on Saturn I rockets in the mid 1960's. 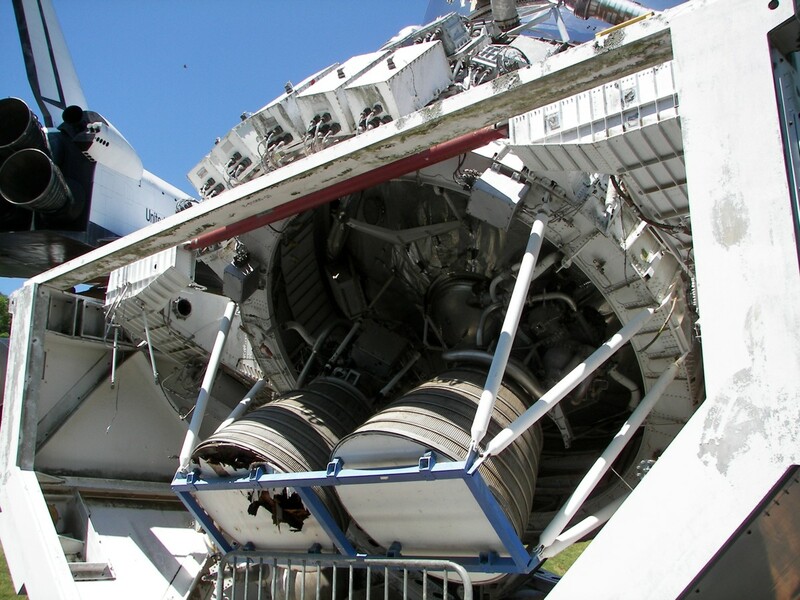 Saturn I Block-2 flights included the S-IV second stage. The S-IV, built by Douglas Aircraft Company, was powered by six Pratt & Whitney RL-10 engines. The engines were gimbaled and used liquid hydrogen and liquid oxygen as propellants. Six S-IV second stages were flown during 1964 and 1965. 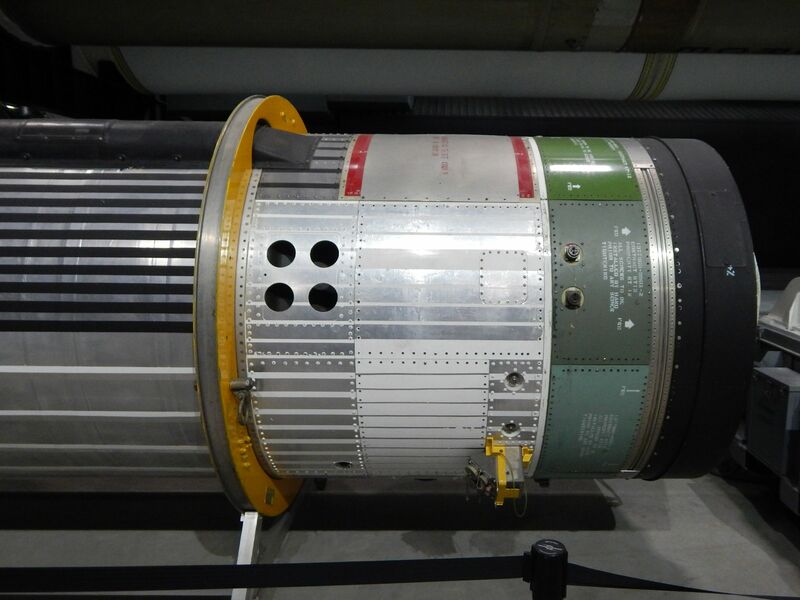 Payloads included Apollo boilerplate capsules and Pegasus satellites. 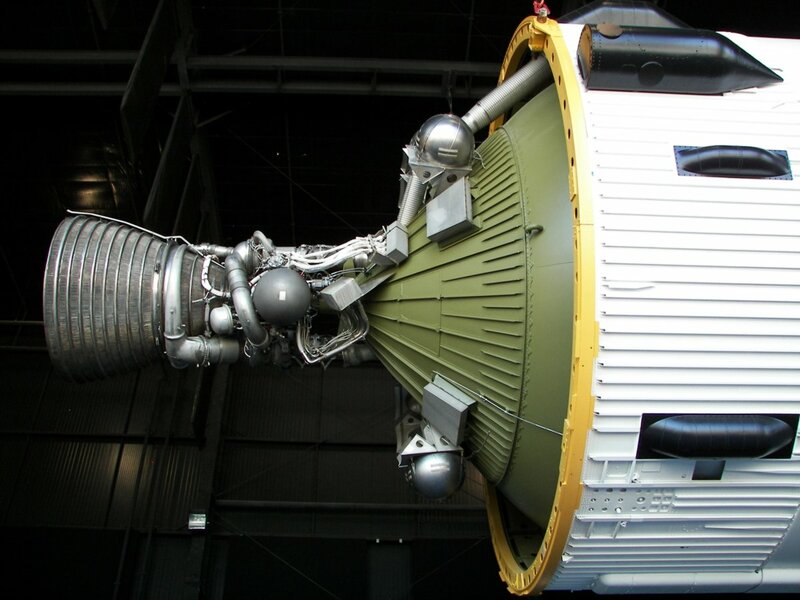 The S-IVB stage was restarted in low Earth orbit to send the Apollo spacecraft to the Moon. 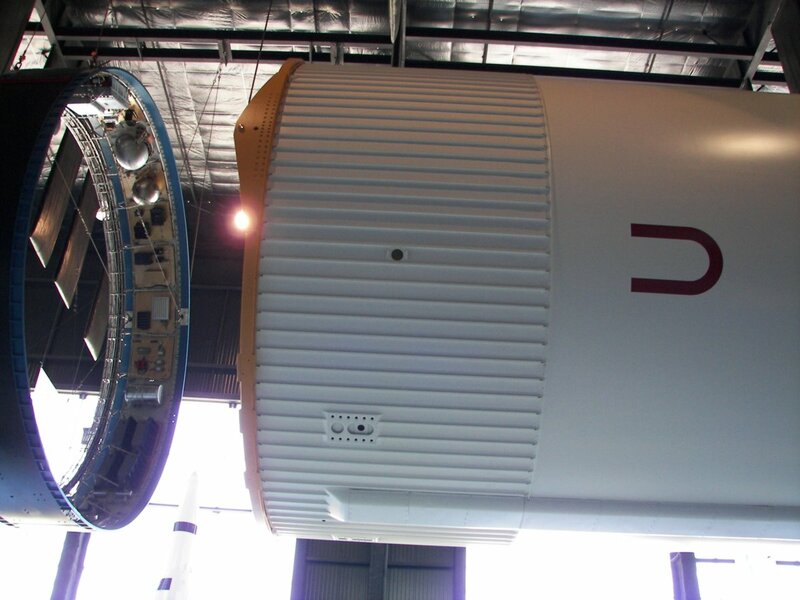 Developed by McDonnell Douglas, the S-IVB served as third stage for Saturn V rockets and as second stage for Saturn IB rockets. 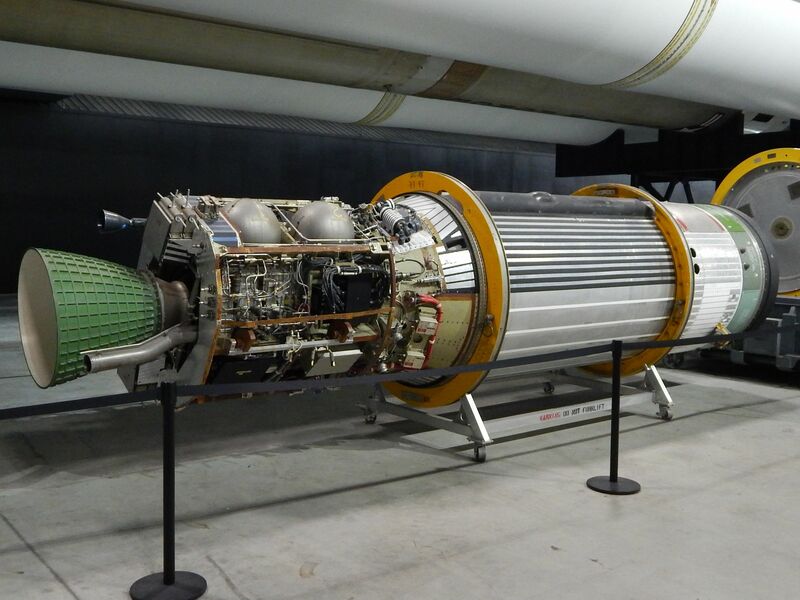 Fueled with liquid hydrogen and liquid oxygen, the S-IVB was powered by a single, restartable, J-2 engine. 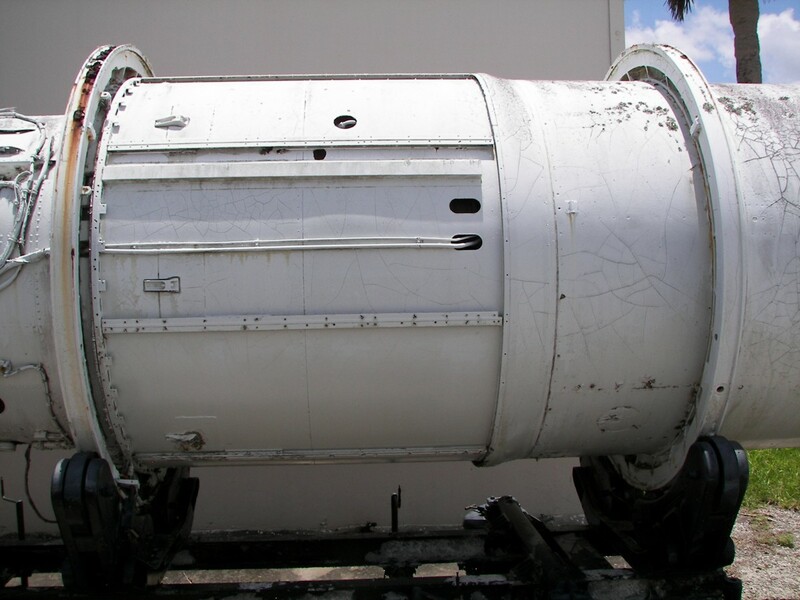 A single propellant tank was divided into two compartments by a common bulkhead. 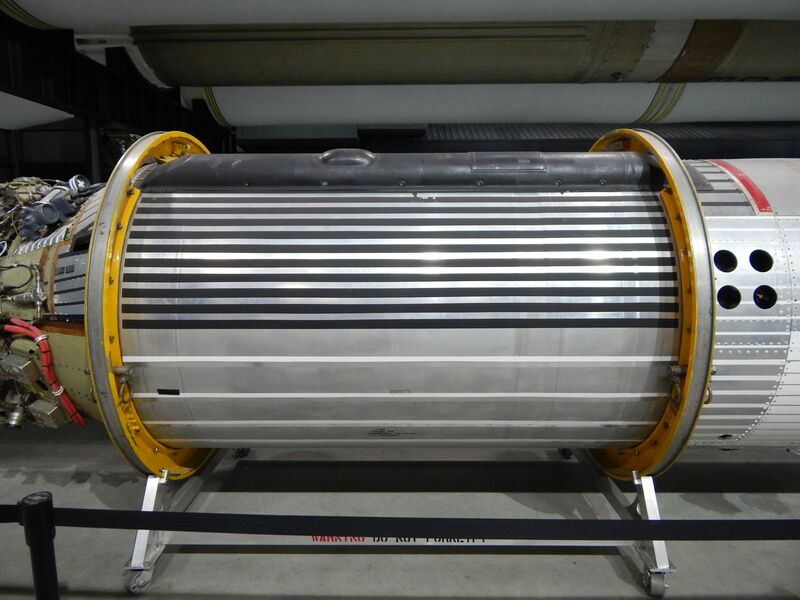 The upper compartment would contain liquid hydrogen, while the lower compartment was for liquid oxygen. 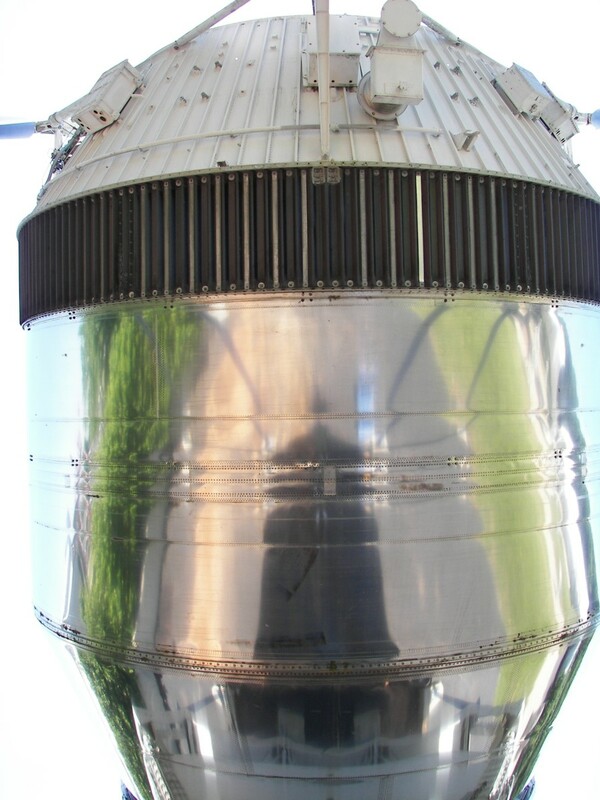 On Lunar flights, the S-IVB stage would conduct two burns. 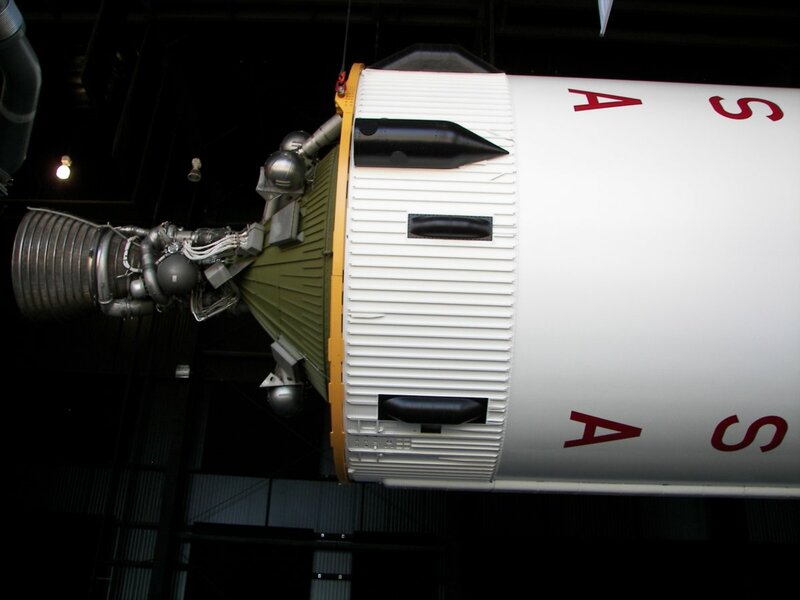 First, to put the stage and Apollo spacecraft into a parking orbit. After a period of system checks, the S-IVB would be started a second time. Called a trans-lunar insertion burn, this firing sent the stack on its way to the Moon. 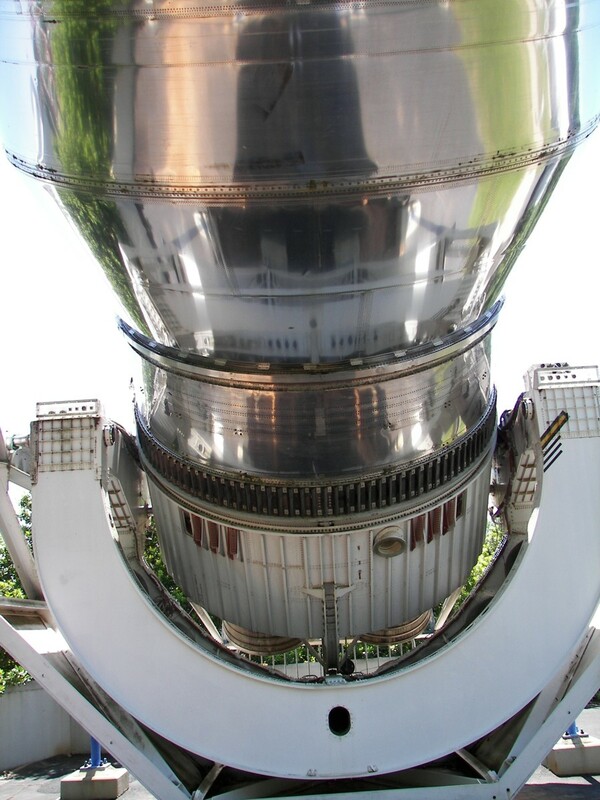 The APS provided attitude control and ullage control for the third stage. 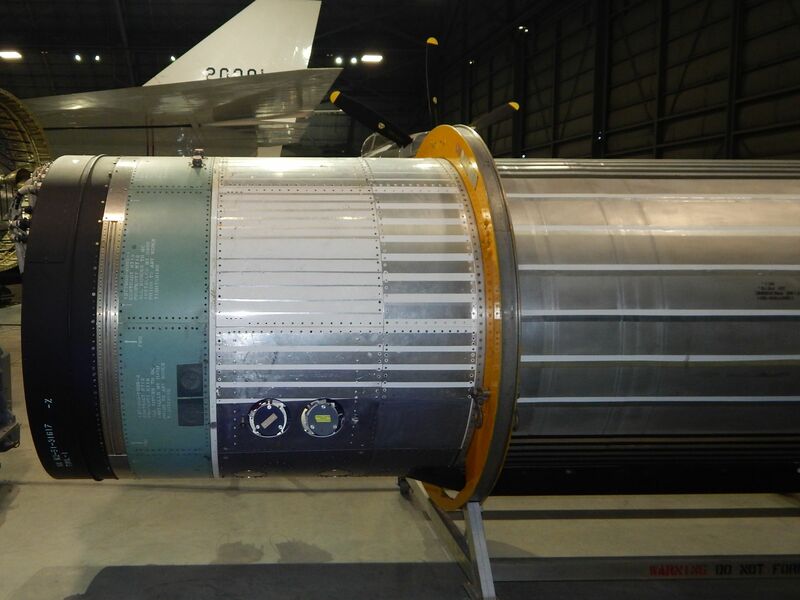 The system included two pods, mounted 180 degrees apart on the aft skirt assembly. 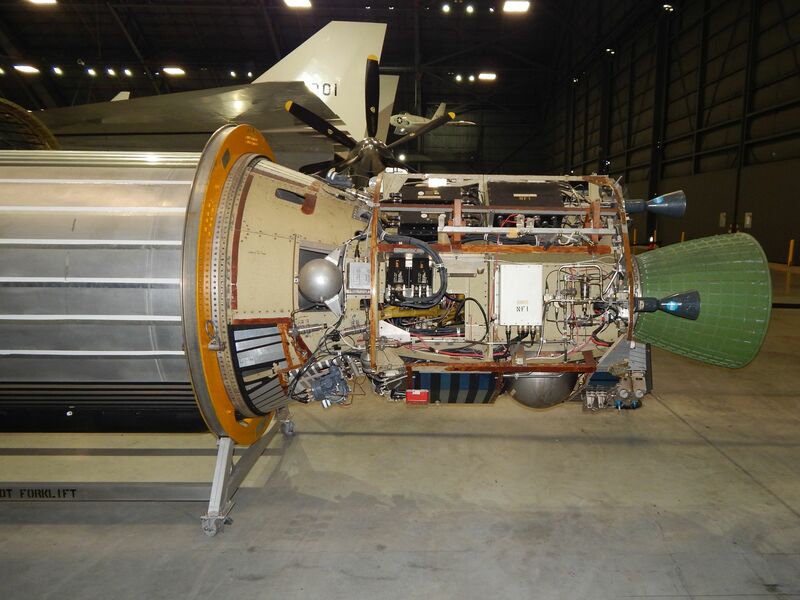 Each pod included three attitude control engines and a single ullage engine. 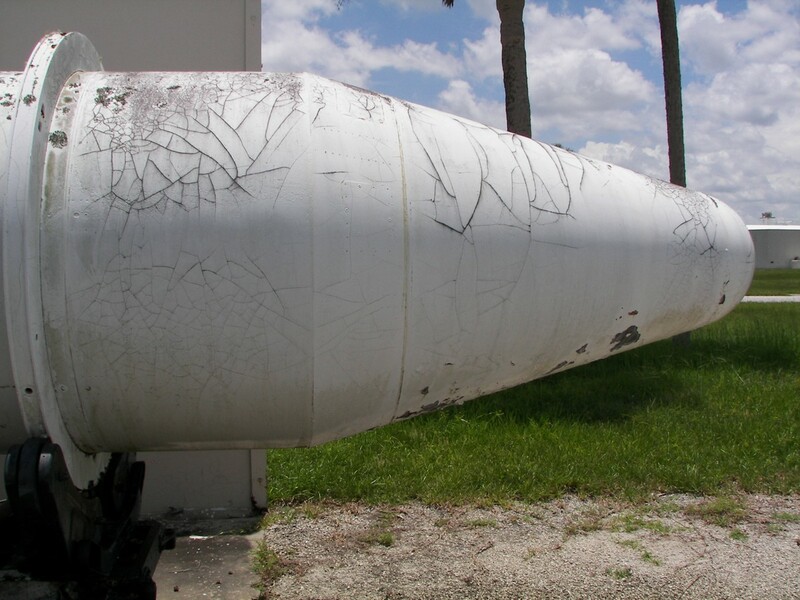 Each pod included tanks for fuel, oxidizer, and high pressure helium. 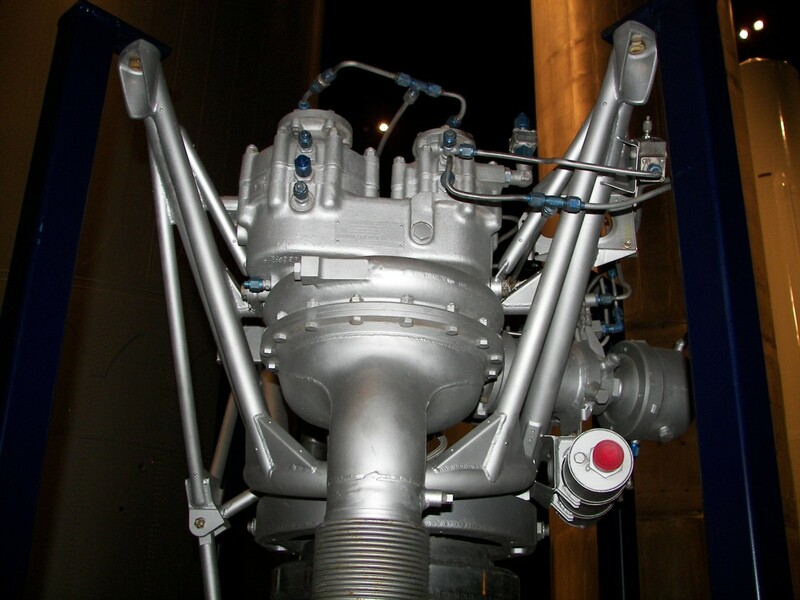 The attitude control engines provide pitch, roll, and yaw control for the stage. 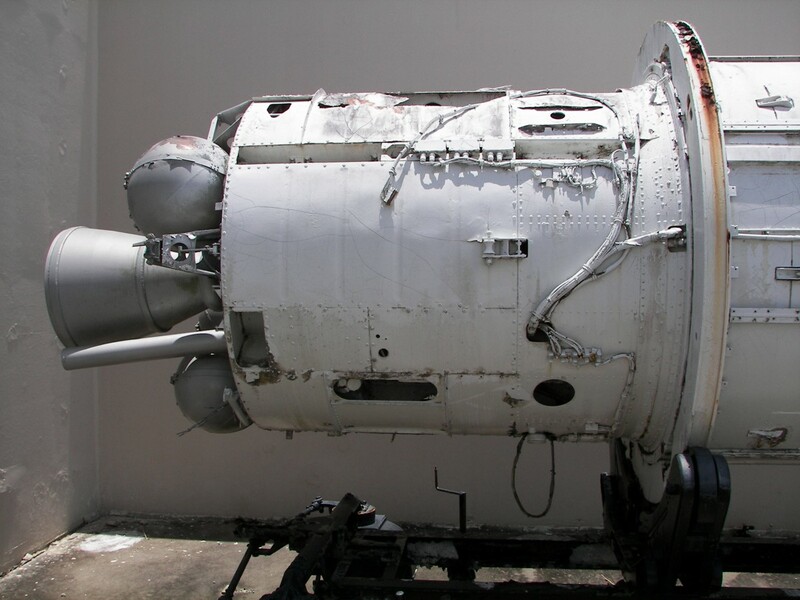 The ullage engines would fire after the first J-2 engine burn to minimize unwanted propellant movement within the tanks. 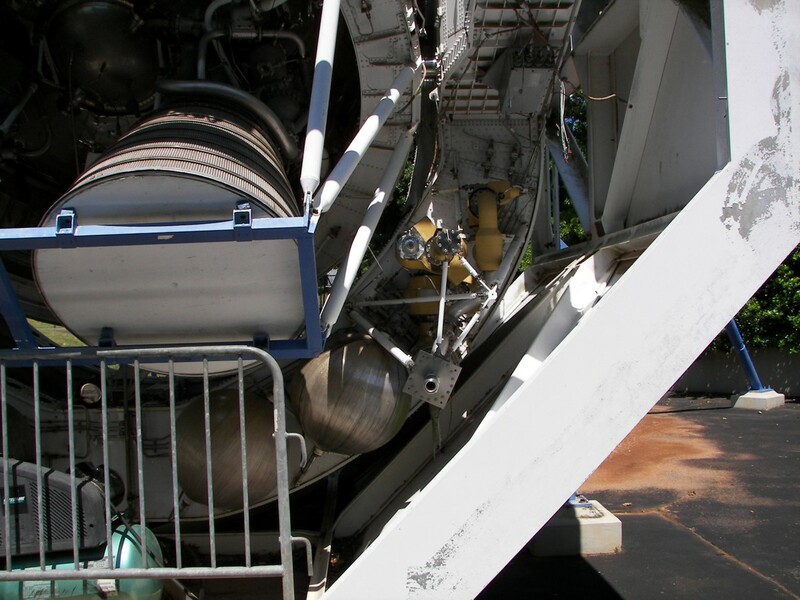 Later, the ullage engines would be used to settle the fuel and oxidizer prior to restarting the main engine. 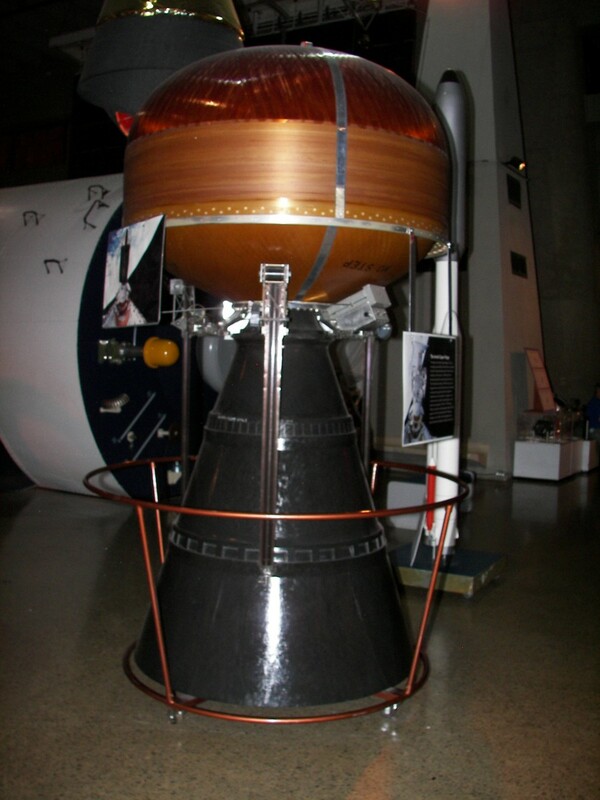 The Inertial Upper Stage (IUS) was used with the Titan-34D, Titan IVA, Titan IVB, and Space Shuttle. The IUS was build by Boeing and was comprised of two stages. 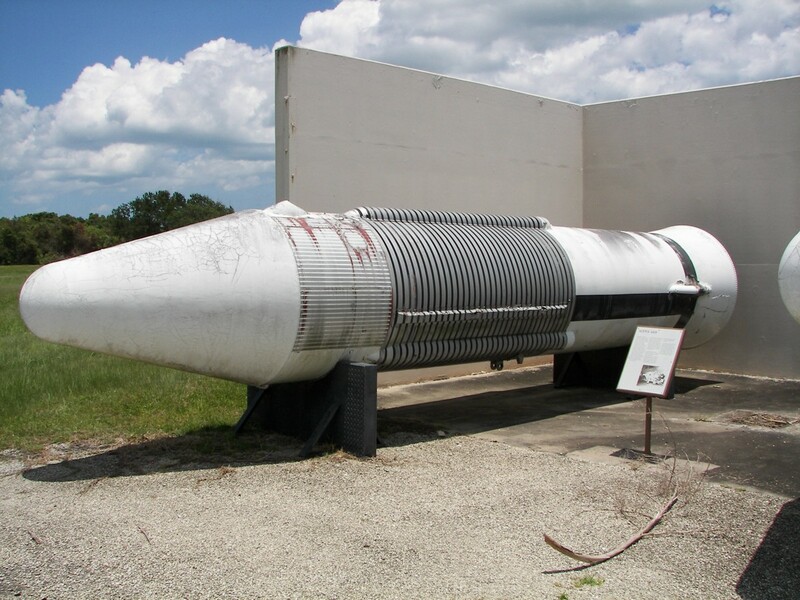 An Orbus-21 solid rocket motor powered the first stage, while an Orbis-6, equipped with an extendable nozzle, was used with the second stage. 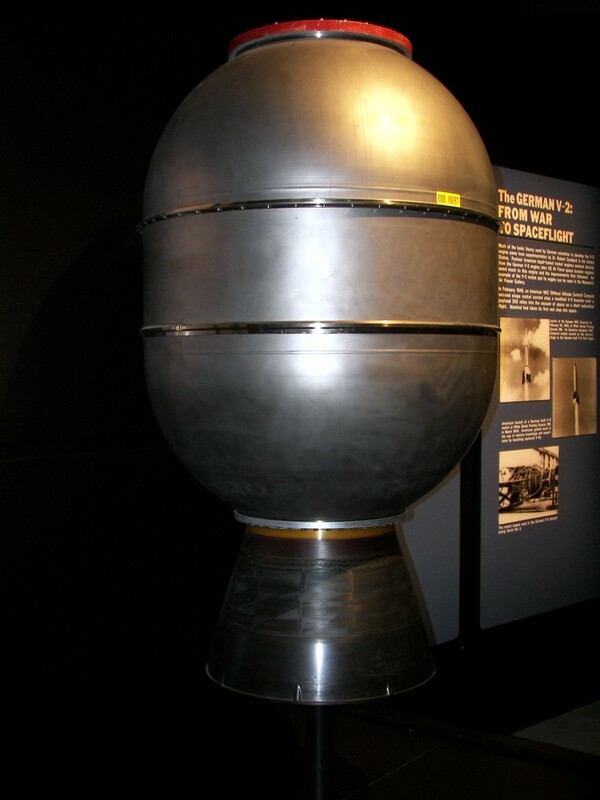 Each stage used solid propellants. First flown in 1982, the stage was last used in 2004. 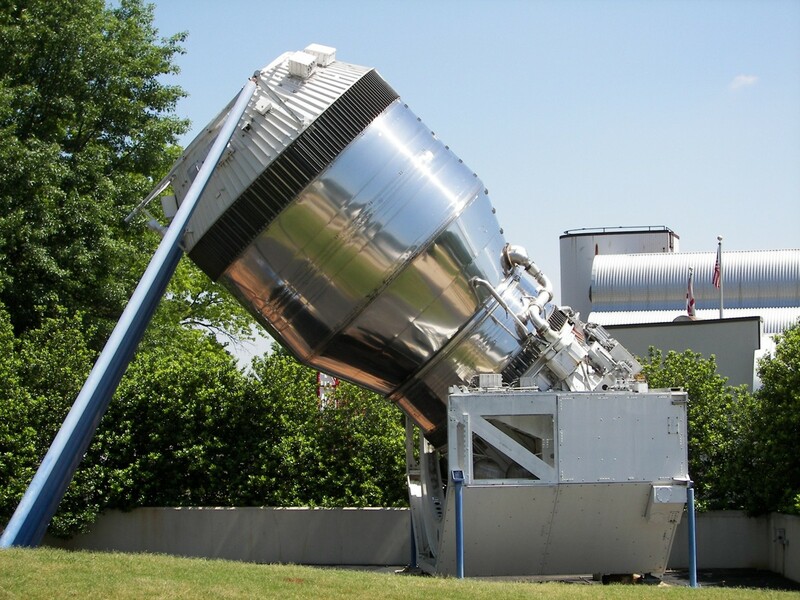 Often used to launch Defense Support Program (DSP) or Tracking & Data Relay Satellite (TDRS) missions, the IUS was also used to launch several high-profile deep space missions, including the Magellan Venus mission, the Galileo Jupiter probe, the Ulysses Solar mission, and the Chandra x-ray observatory. 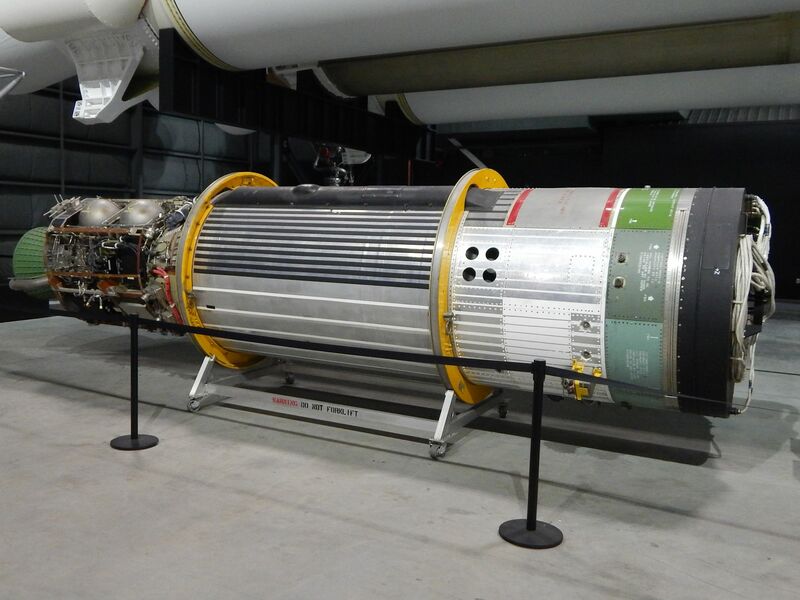 Used exclusively with the Titan III family of rockets, the Transtage was equipped with two AJ-10 engines and used hypergolic propellants. 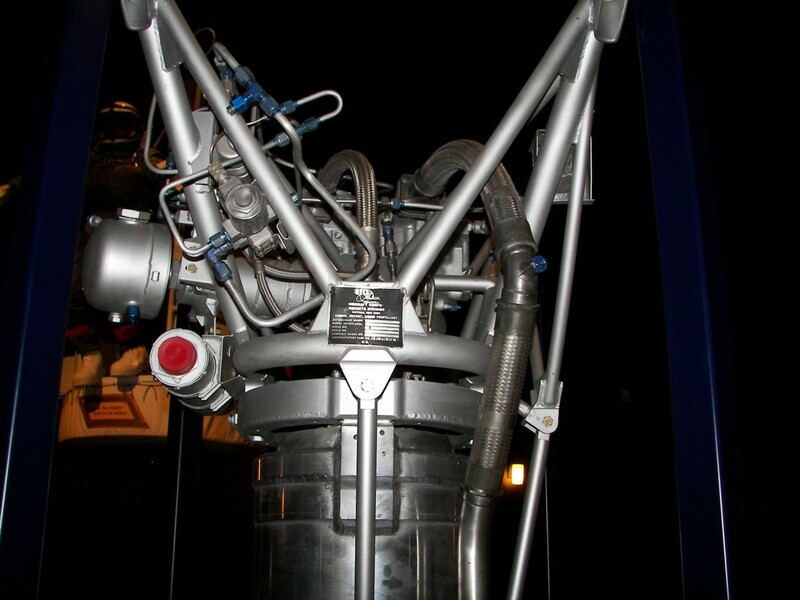 The Delta II second stage was powered by a single Aerojet AJ-10-118K engine. 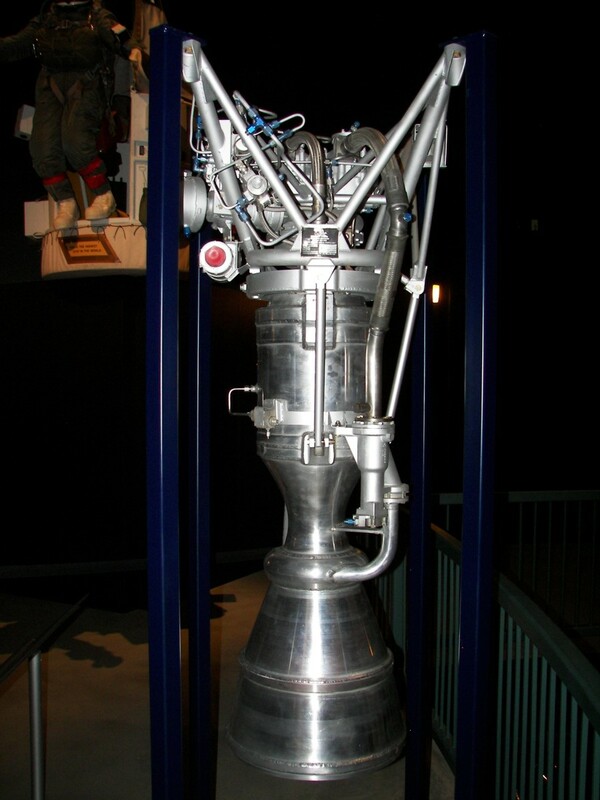 The restartable engine used hypergolic propellants and was hydraulically gimbaled to provide yaw and pitch control during powered flight. Roll control was provided by the redundant attitude control system (RACS). 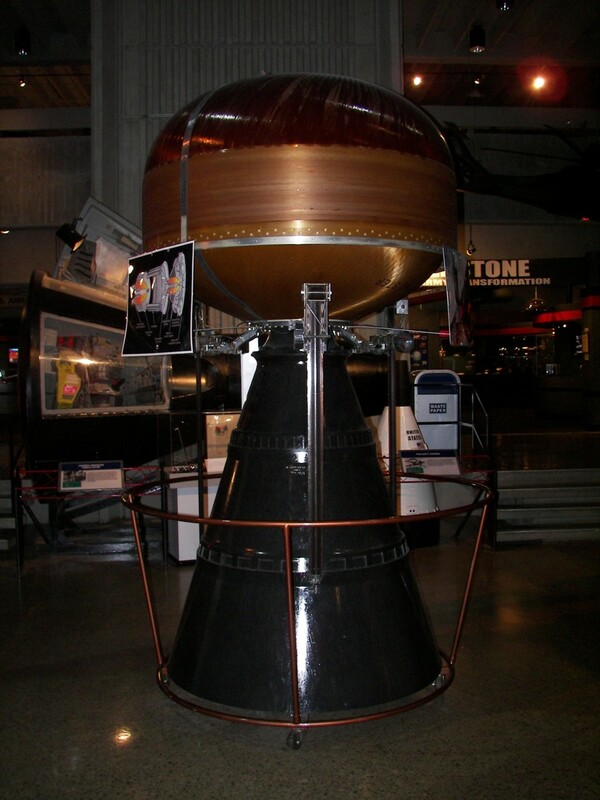 The RACS used nitrogen gas as propellant. During unpowered flight, the RACS also provided pitch and yaw control. 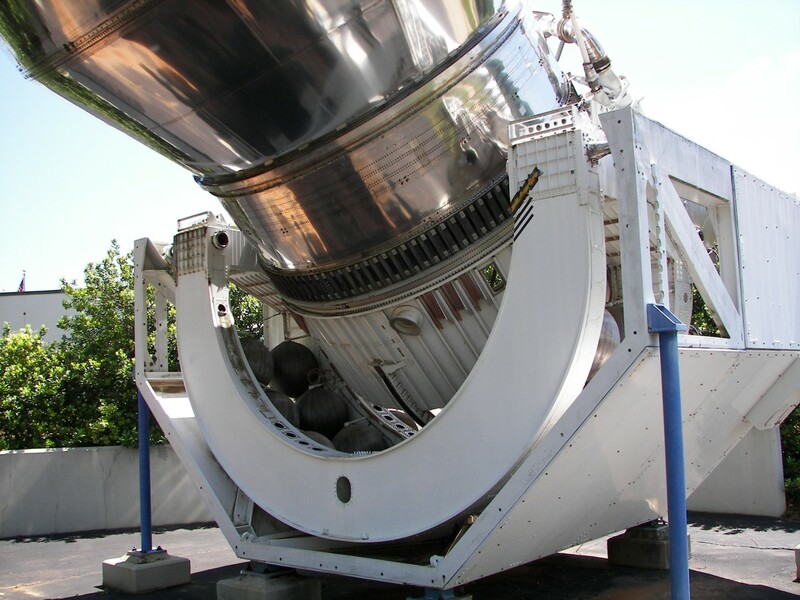 The Delta II second stage was often used with a solid propelled third stage. The Delta IV second stage is available in two sizes. 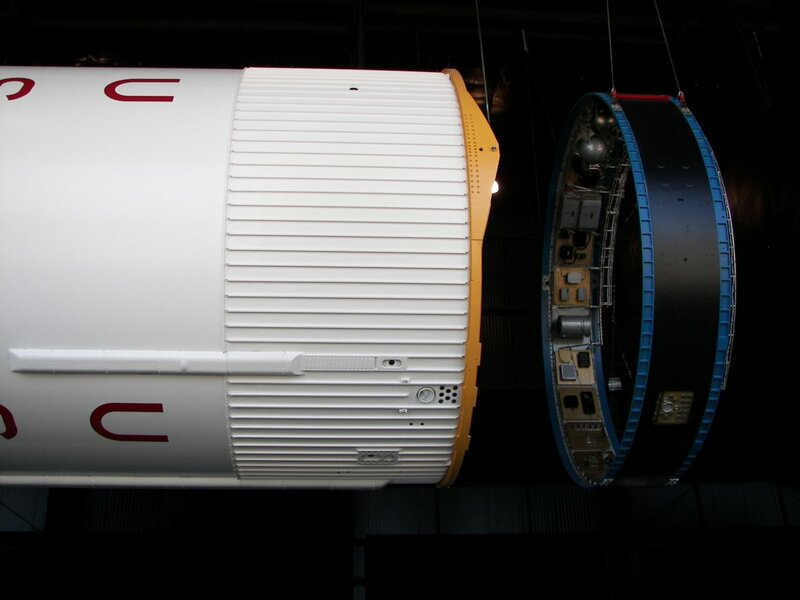 The smaller version is known as the 4 meter model (illustration at left), while the larger is 5 meters (right). Both versions use a single RL10B-2 engine. 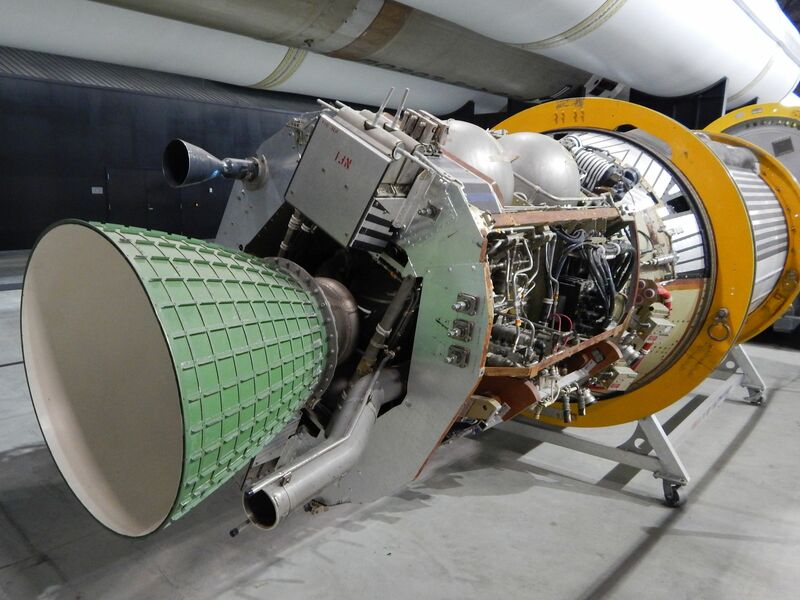 Build by Pratt & Whitney, the RL10B-2 uses liquid hydrogen and liquid oxygen as propellants and features an extendable nozzle for increased efficiency. The engine produces 110 kN of thrust. 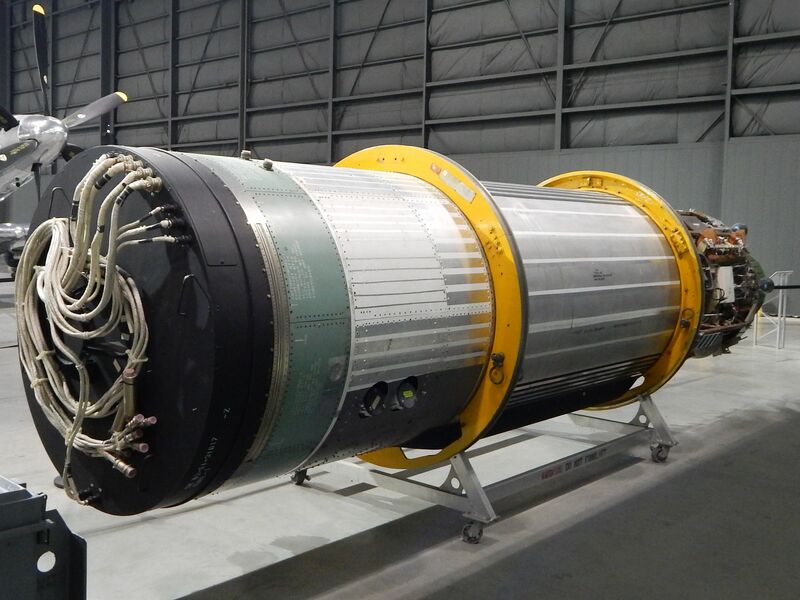 The 4 meter version carries 20,410 kg of propellant, allowing approximately 850 seconds of burn time. 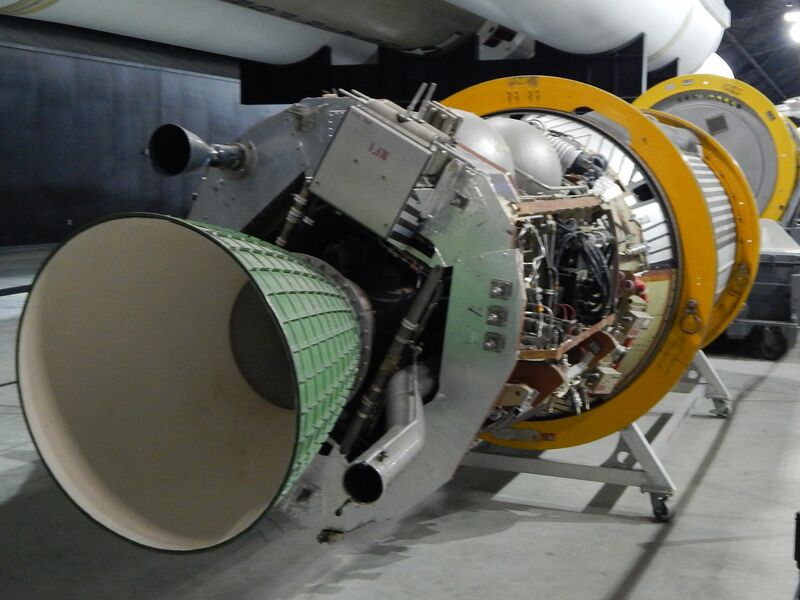 The 5 meter versions carries 27,200 kg of propellant, allowing over 1,125 seconds of burn time. Block DM is used with both the Proton-K and Zenit-3SL rockets. The stage is derived from the Block-D stage and features a restartable engine fueled with kerosene and liquid oxygen. 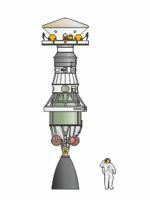 The Russian Fregat upper stage features a main propulsion system capable of being restarted several times. The stage uses nitrogen tetroxide (NTO) and unsymmetrical dimethyl hydrazine (UDMH) as propellants. 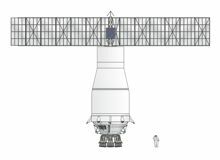 Fregat is used with the Soyuz-Fregat rocket. Briz-M serves as third stage on the Russian Proton-M Briz-M launcher. The Briz-M, sometimes referred to as "Breeze M", is around 4 m in diameter and 2.65 m tall. The stage uses nitrogen tetroxide and unsymmetrical dimethylhydrazine as propellants. The Briz-M provides greater performance over the Blok-DM thanks to its unique fuel tank arrangement. The Briz-M has two sets of fuel tanks. 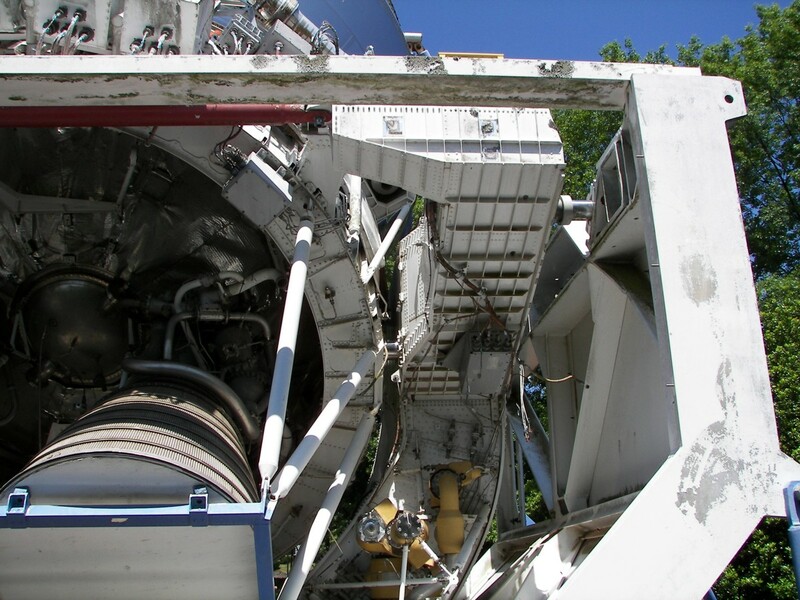 One set of tanks, located in the core of the stage, remains with the booster throughout its use. Another set of larger tanks, located around the perimeter of the stage, can be jettisoned in flight as they are depleted. 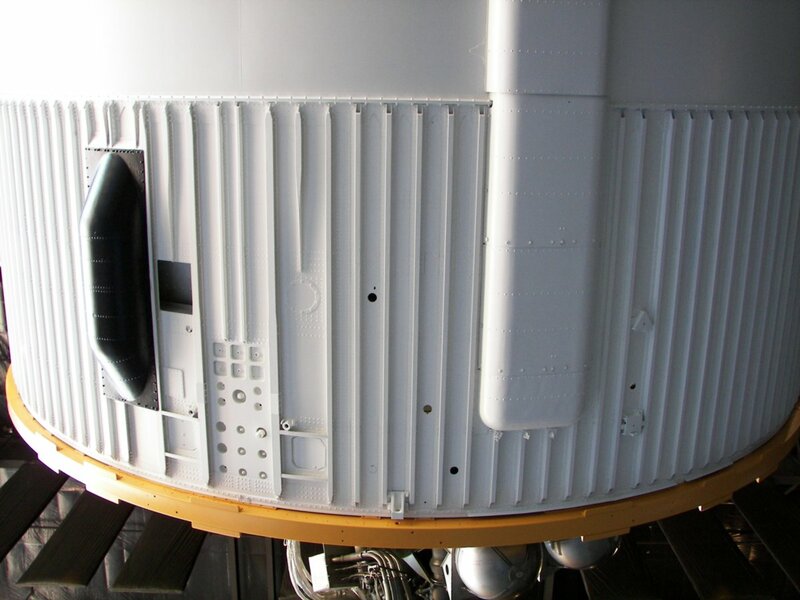 Briz-KM serves as third stage on the Russian Rockot launcher. The stage features a restartable main engine, and is fueled with N2O4 and UDMH. 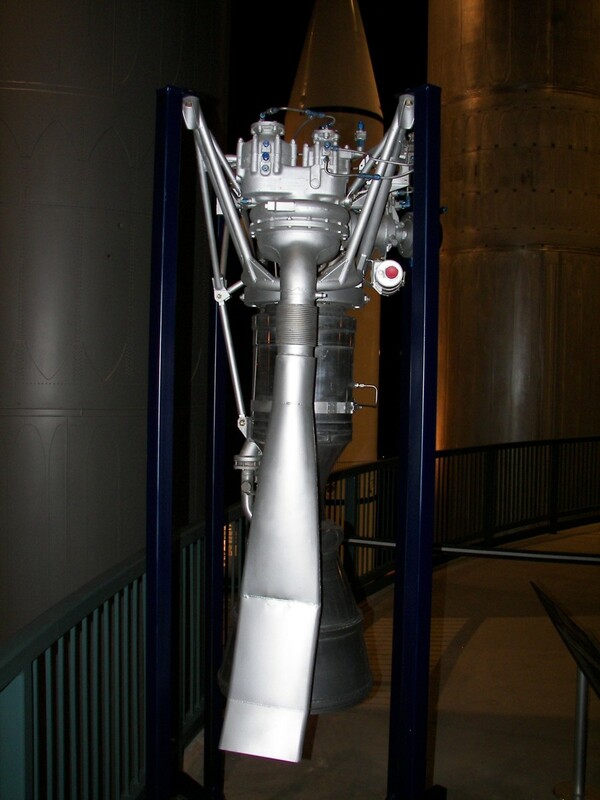 A storable propellant upper stage used with the Ariane 5 rocket. A cryogenic upper stage used with the Ariane 5 ECA rocket. 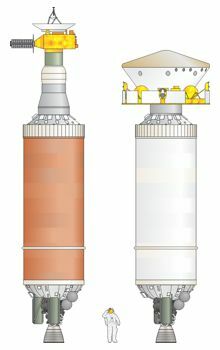 A cryogenic upper stage designed for use with the Ariane 5 rocket. 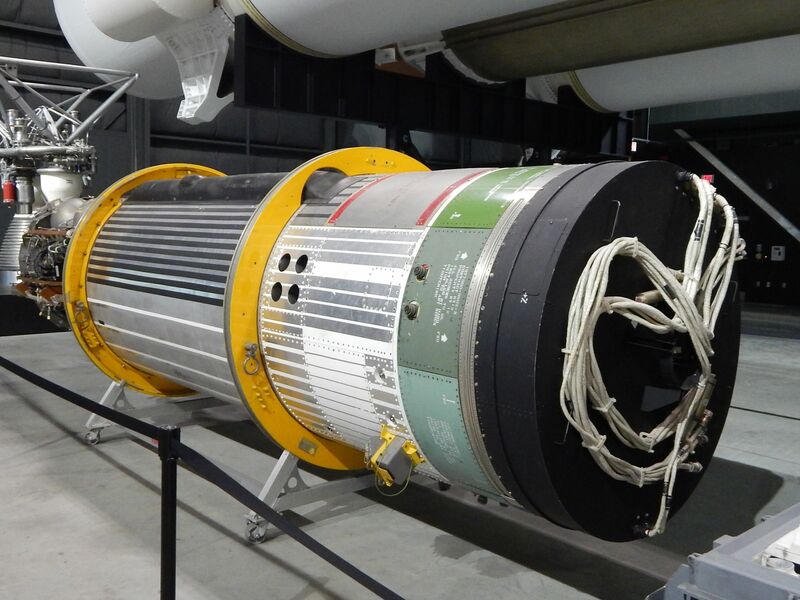 The Thiokol TE-M-364 was a solid-propellant upper stage motor used on Thor and Atlas rockets. 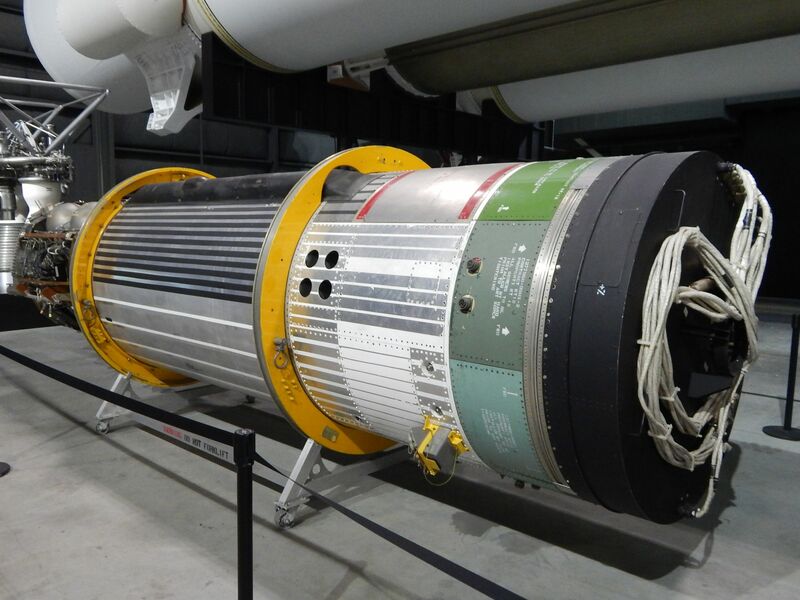 The Payload Assist Module (PAM-D) was sometimes used with the Delta II and Space Shuttle launch vehicles. 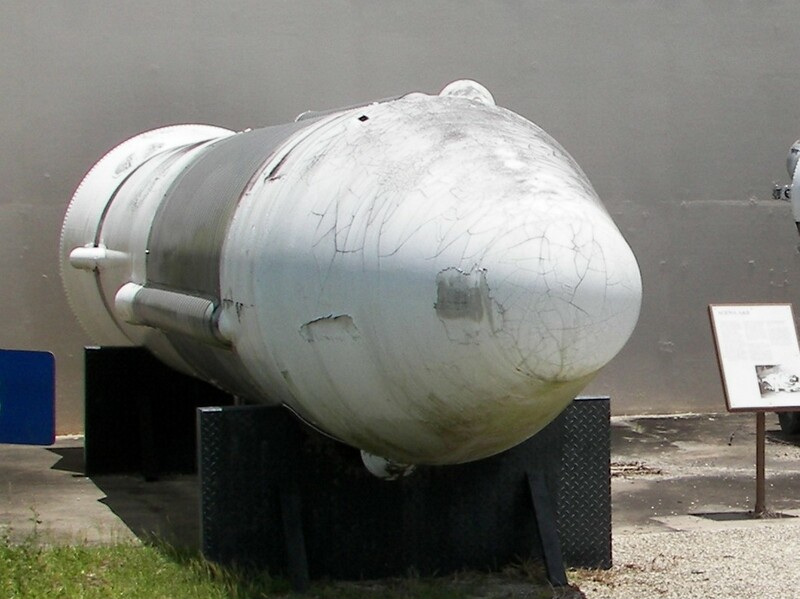 The PAM-D was spin stabilized and used a solid fueled Star-48B rocket motor. The Falcon 9 second stage is built by SpaceX and is powered by a single Merlin engine. Propellants are liquid oxygen and RP-1 (kerosene). The gimbaled engine is throttleable and can be restarted. Agena Flight History (As of 31 December 1967) (PDF). Space and Missile Systems Organization, 1969. 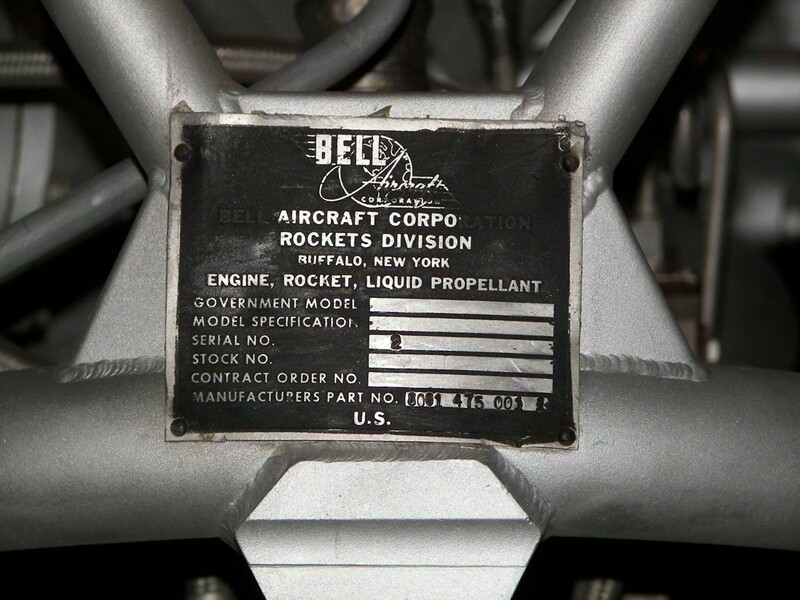 Bell Model 8048 Fact Sheet (Link). National Museum of the US Air Force. Delta II Payload Planners Guide (PDF). United Launch Alliance, 2006. Delta IV Payload Planners Guide (PDF). United Launch Alliance, 2007. Atlas Launch System Mission Planner's Guide. International Launch Systems, 2001. Atlas V Launch Services User's Guide (PDF). United Launch Alliance, 2010. 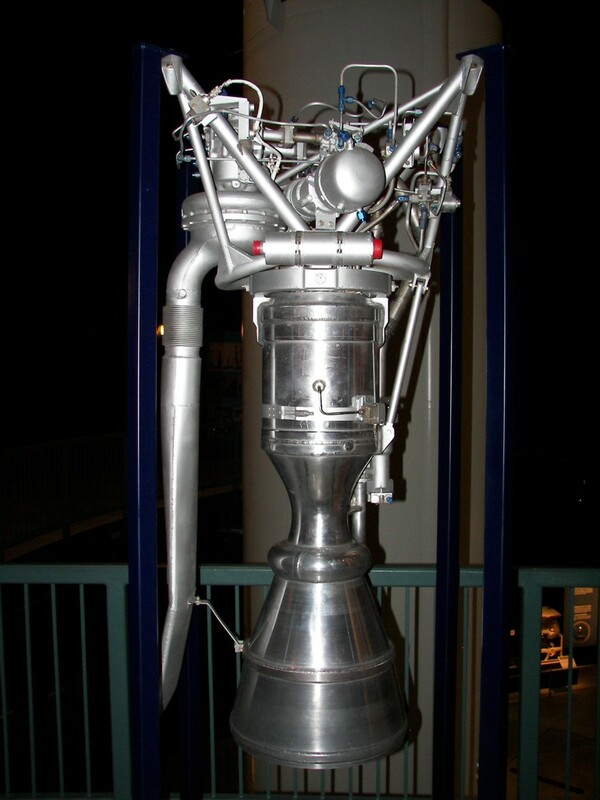 Virginia P. Dawson and Mark D. Bowles, Taming Liquid Hydrogen: The Centaur upper Stage Rocket (1958-2002) (PDF), NASA SP-4230. 2004. 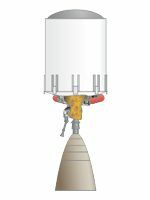 Ariane 5 User's Manual (Link). Arianespace, 2011. Falcon 9 Users Guide (Link). SpaceX , 2008. Atlas V Launch Services User's Guide. (A-13). Delta IV Payload Planners Guide. (1-6).